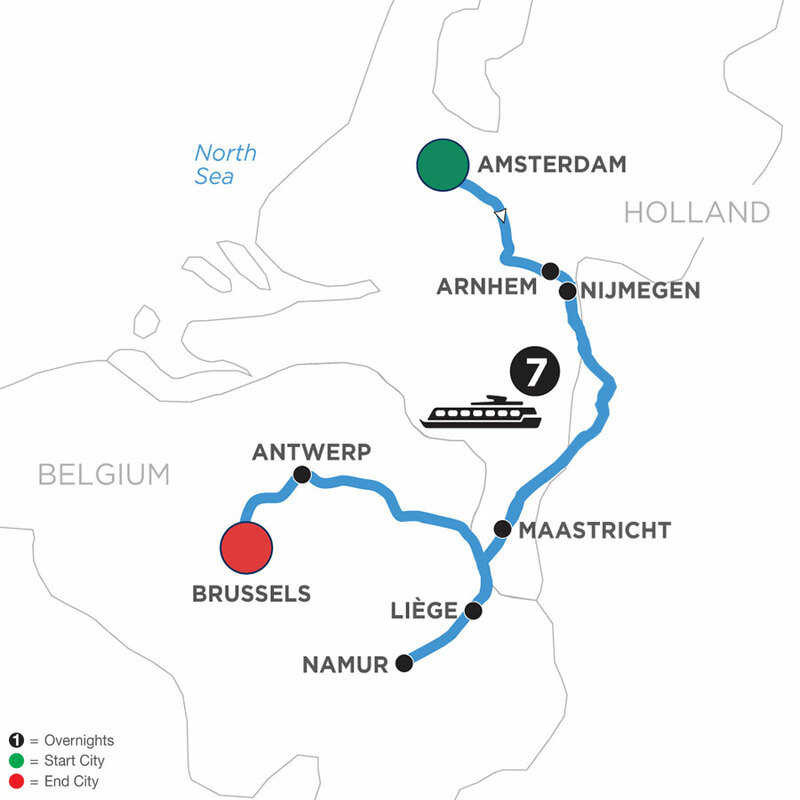 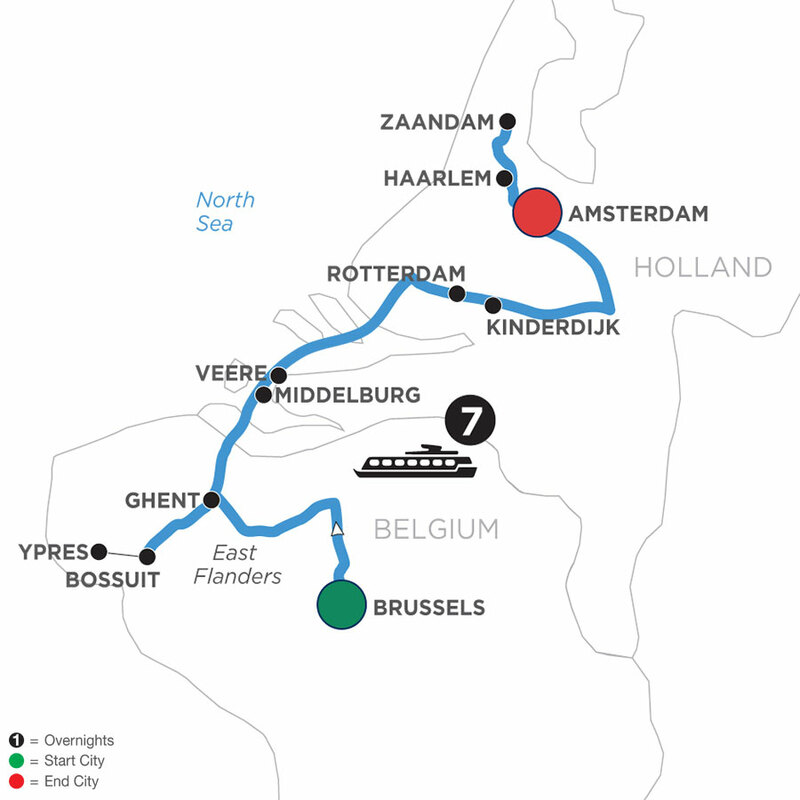 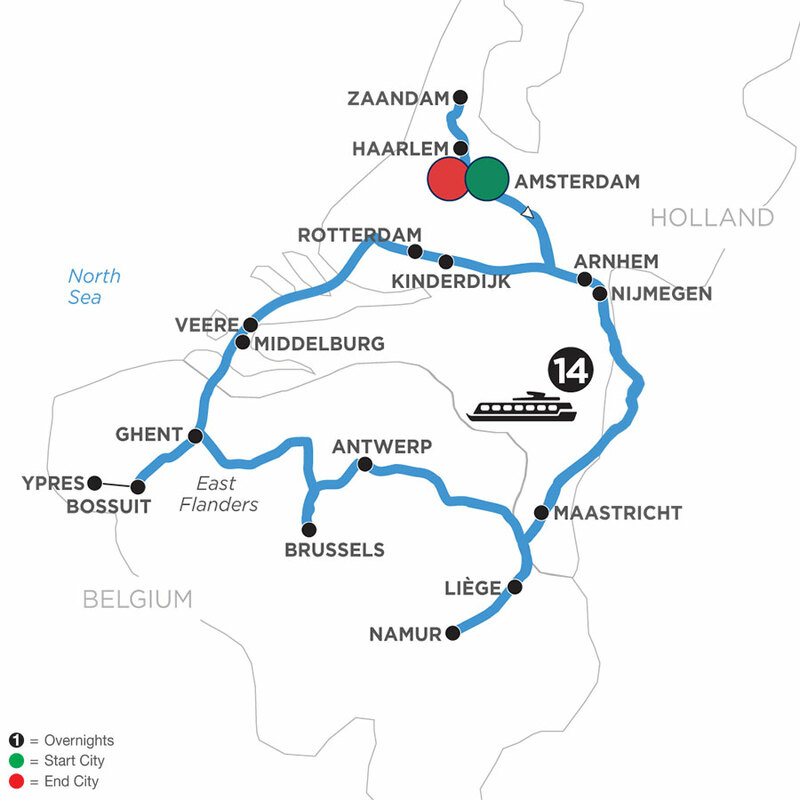 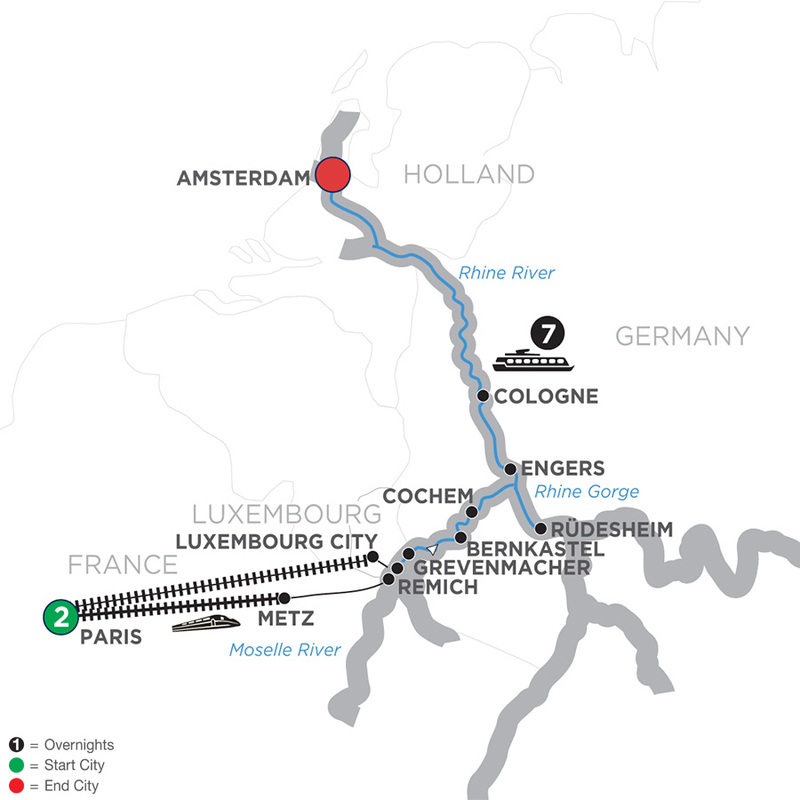 Start this magnificent European river cruise vacation in Holland’s popular, modern capital of Amsterdam. 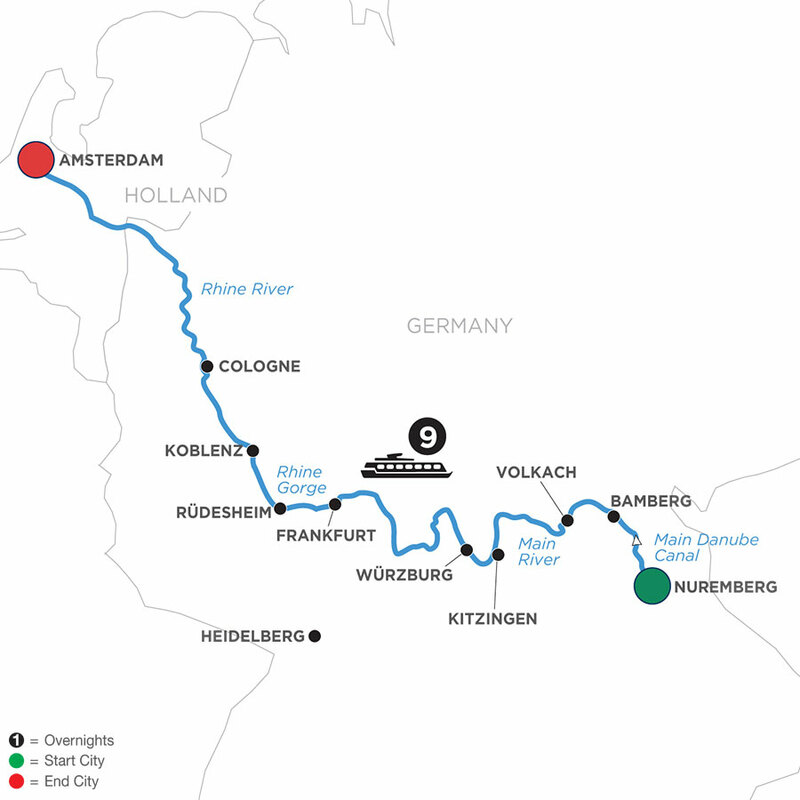 See the treasures of this 700-year-old city from a unique perspective—on a canal cruise along the elegant grachten. 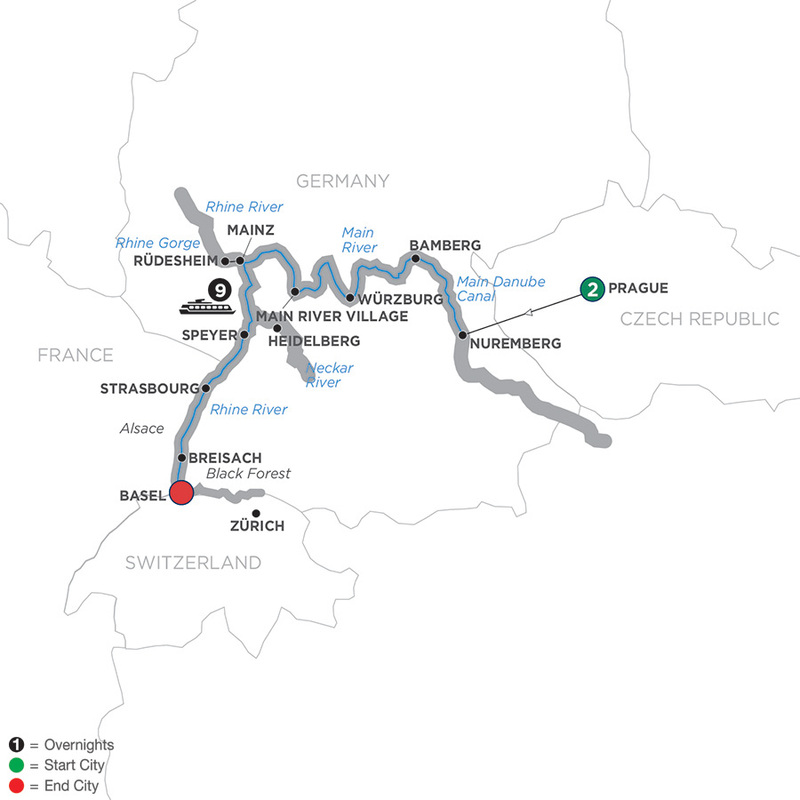 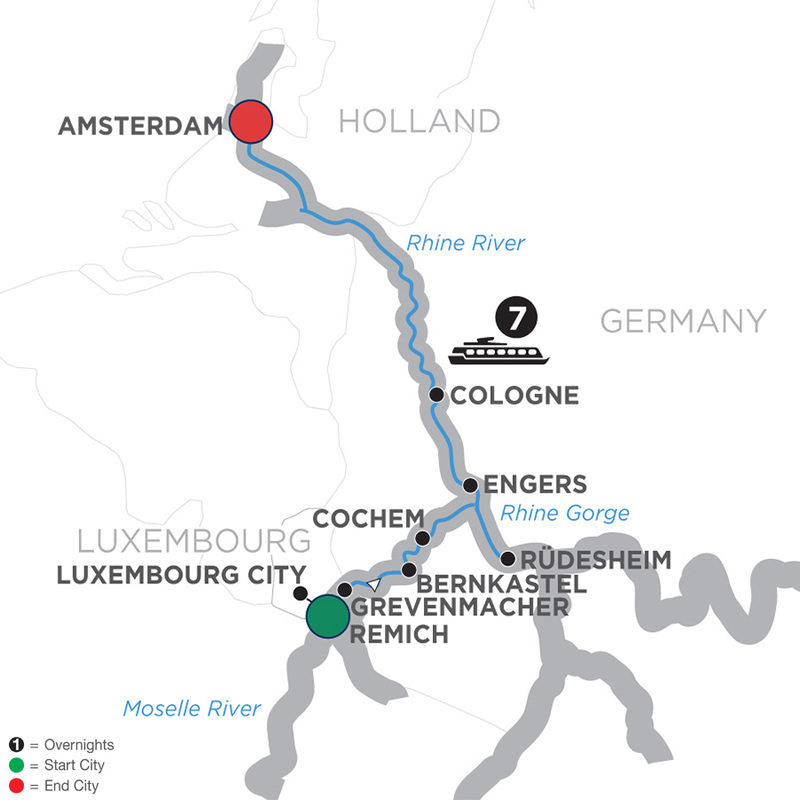 Board your Avalon Suite Ship in Remich on the beautiful Moselle River. 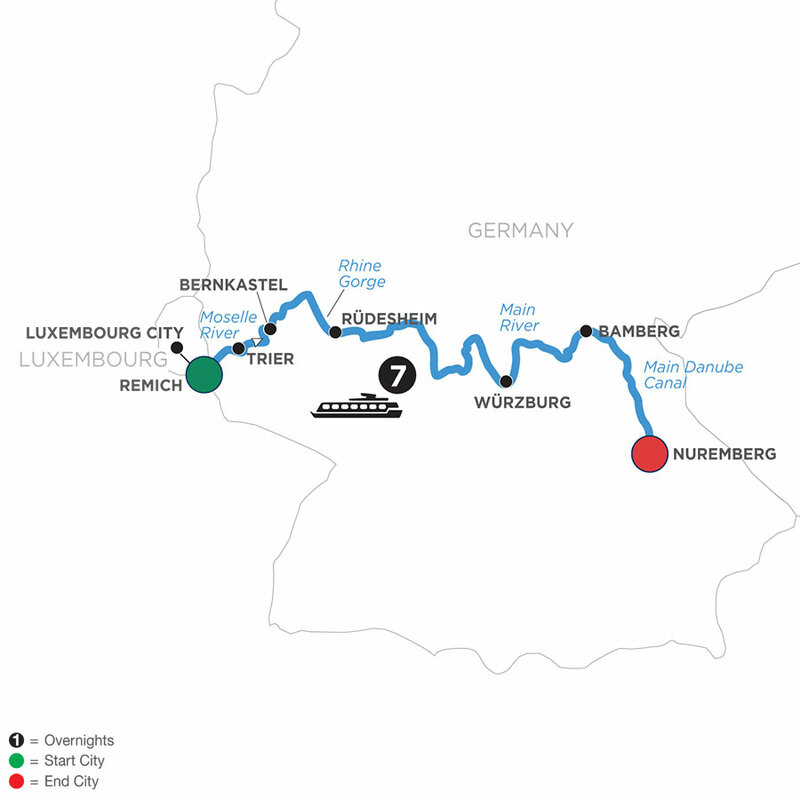 An excursion to historical Luxembourg City offers unique and dramatic views, as the town is set on two levels—high above on straddling hills and dropping into two river valleys. 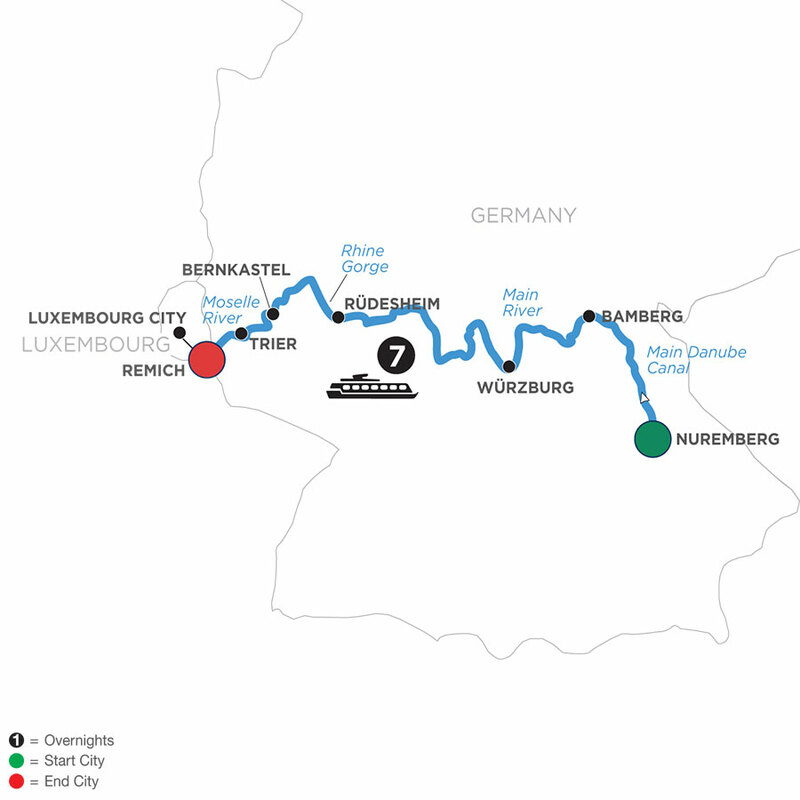 Enjoy a guided walk in the charming wine village of Bernkastel and taste some of the region’s best wines. 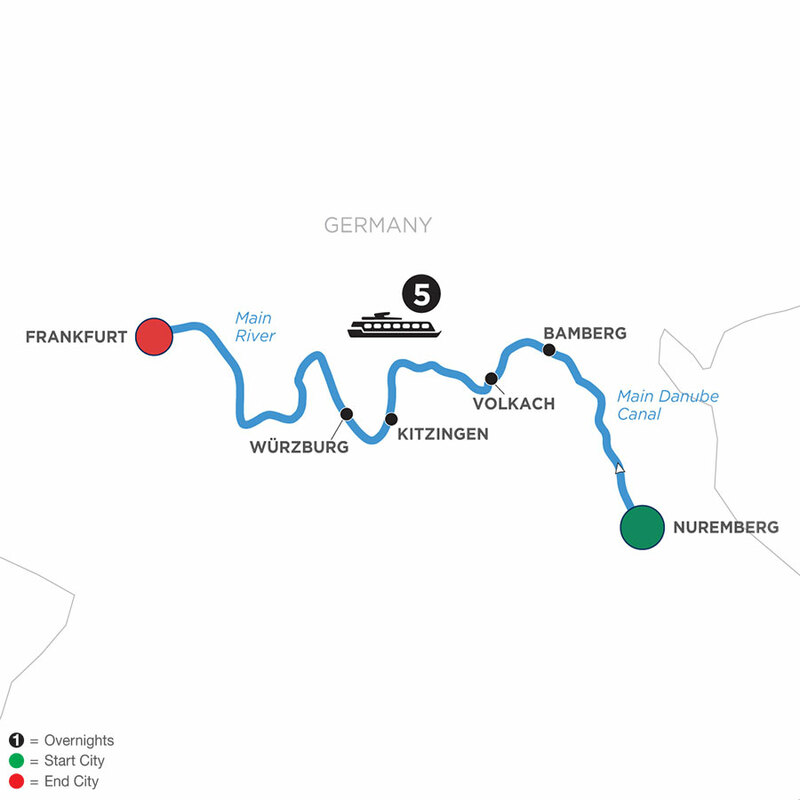 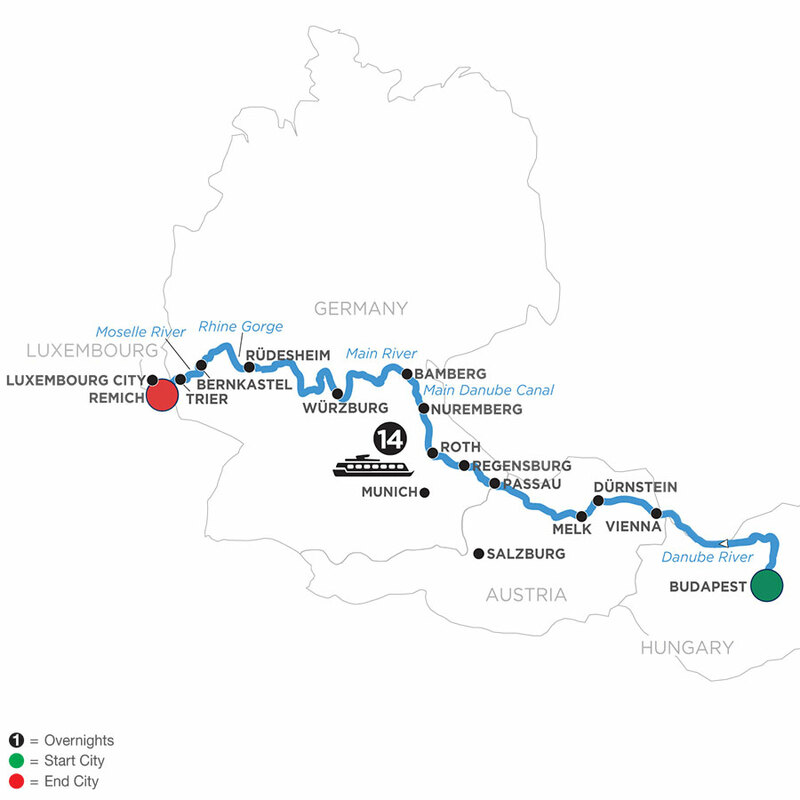 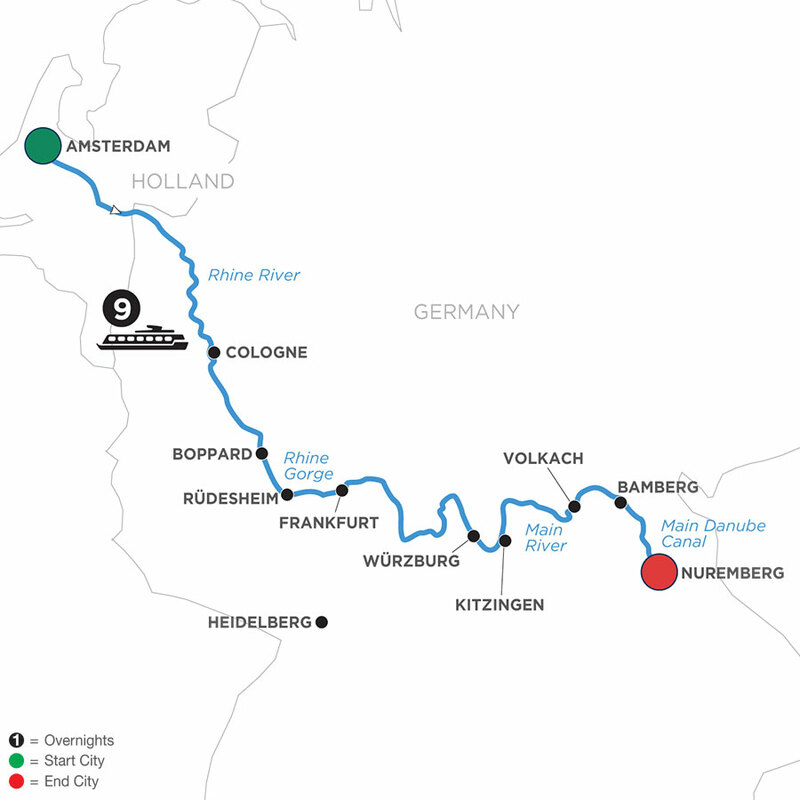 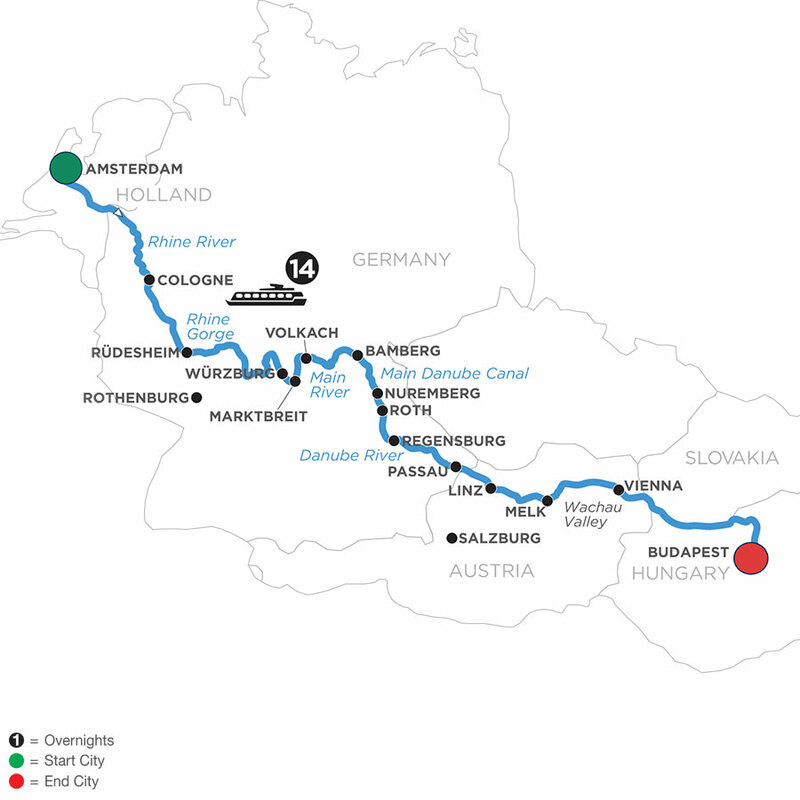 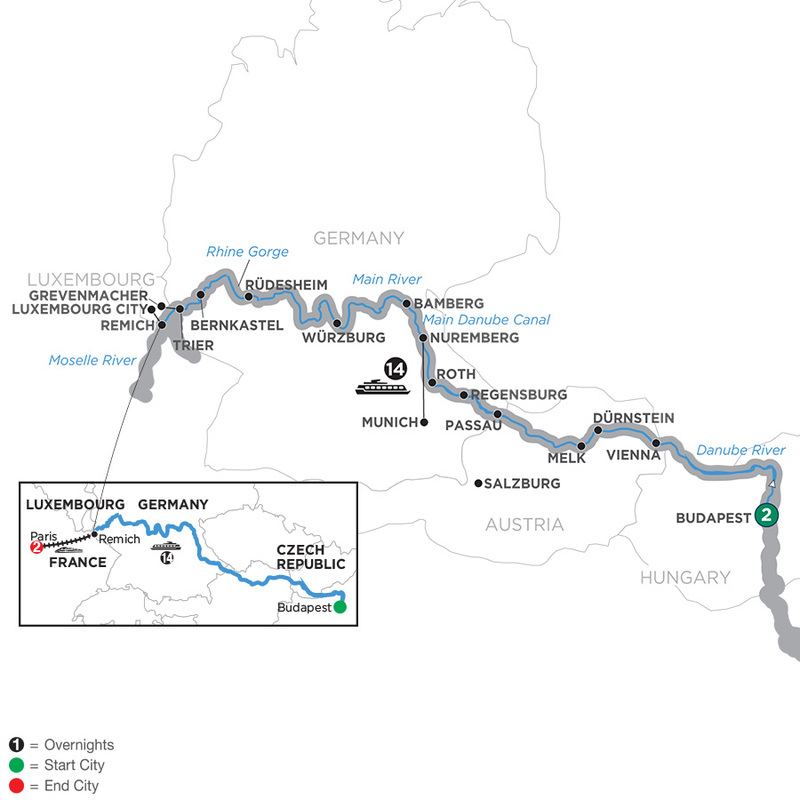 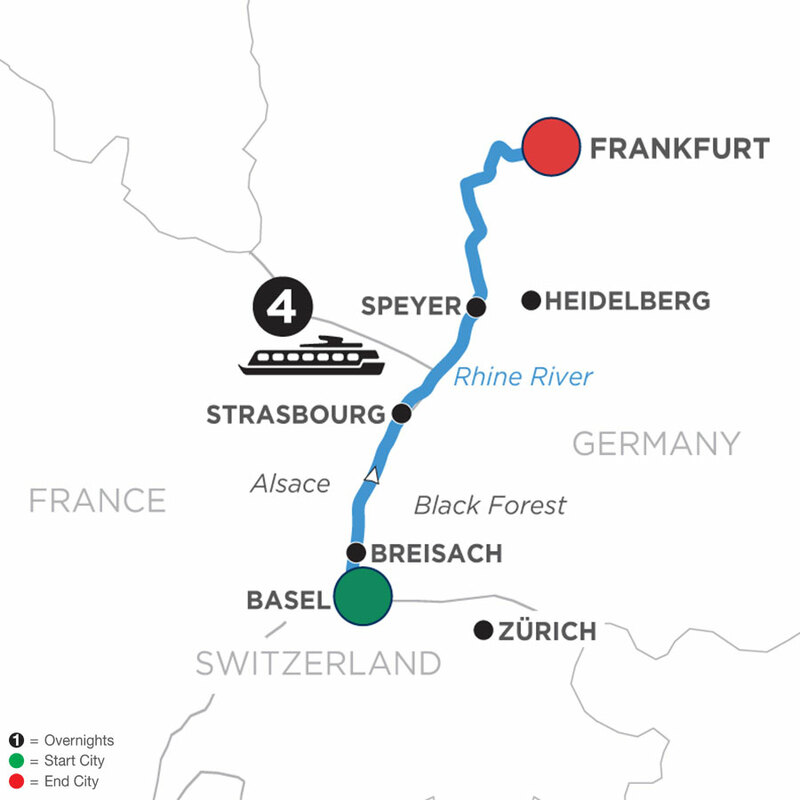 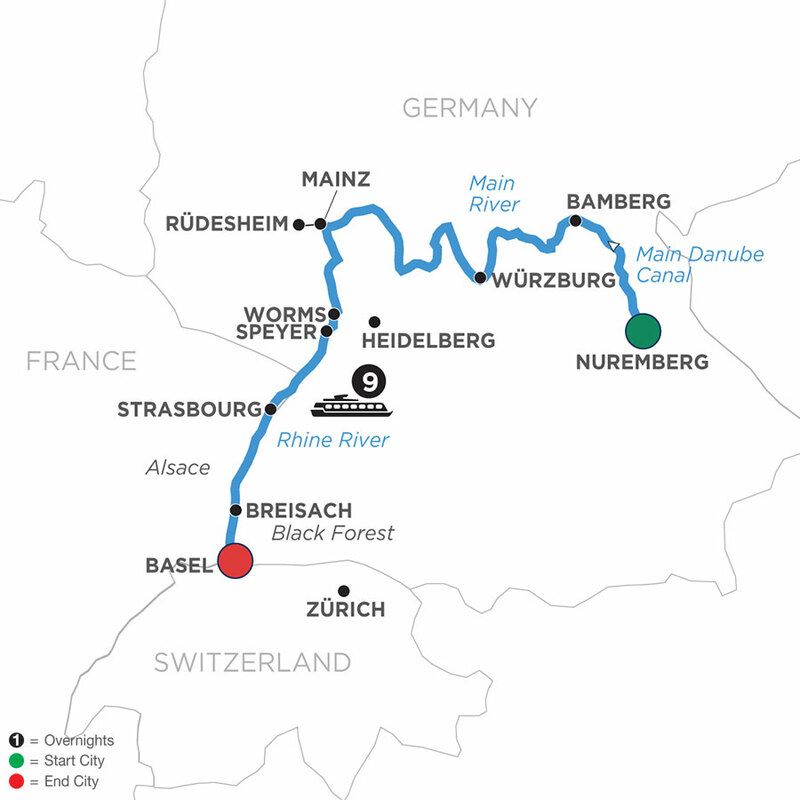 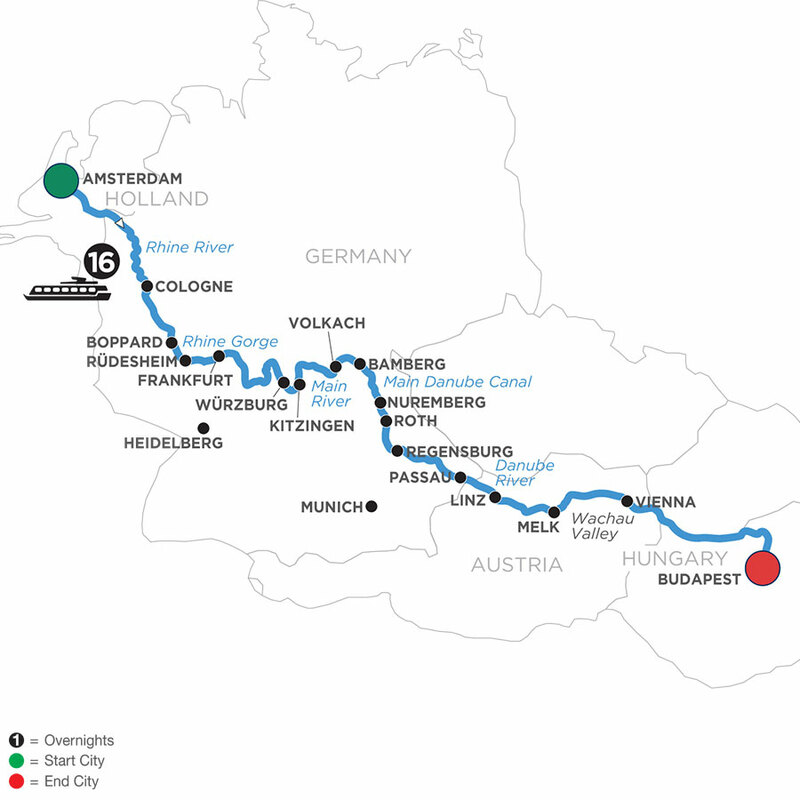 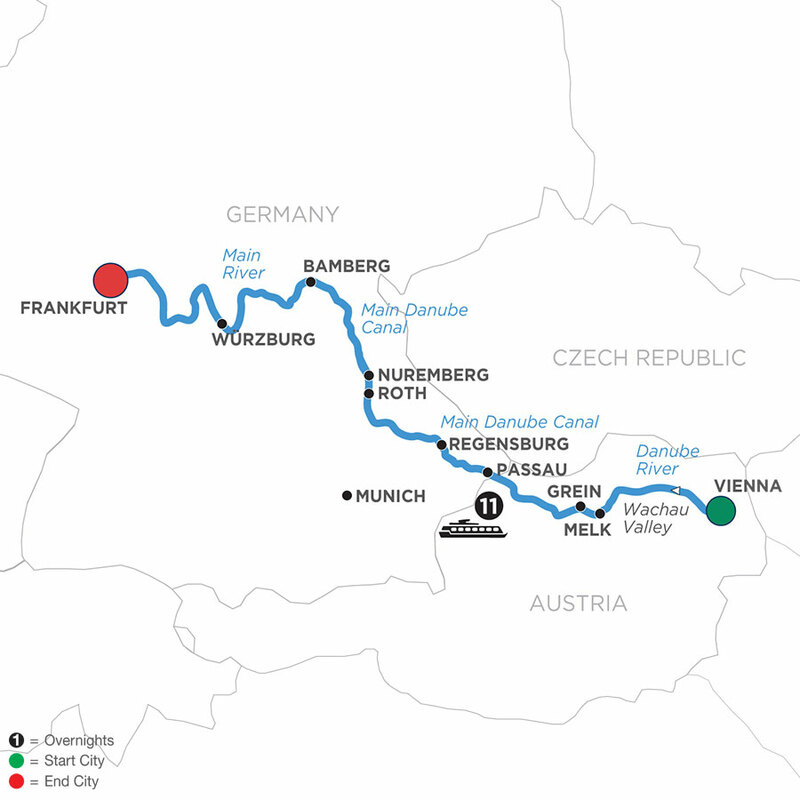 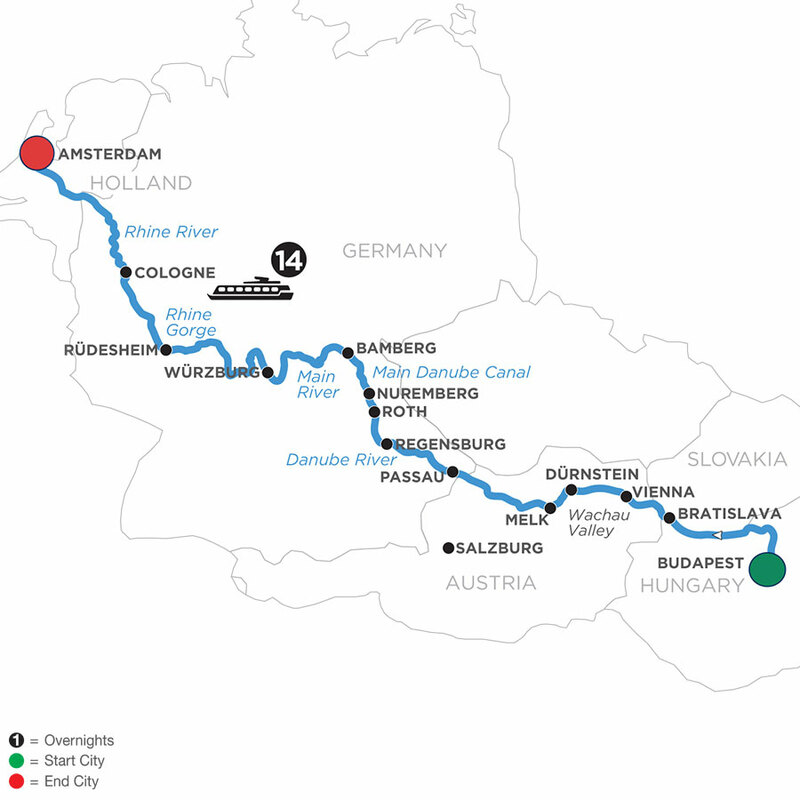 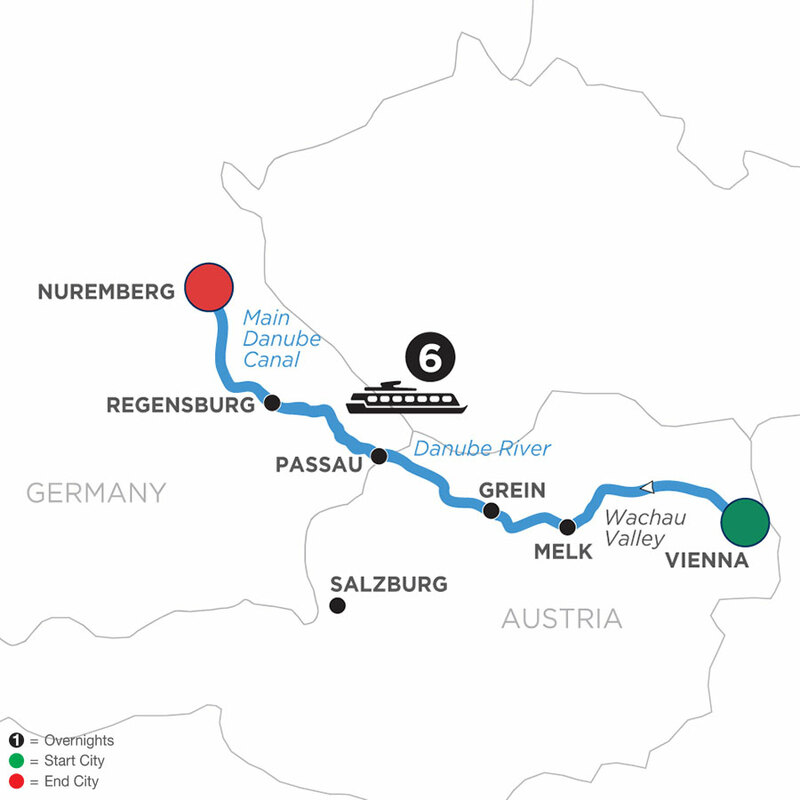 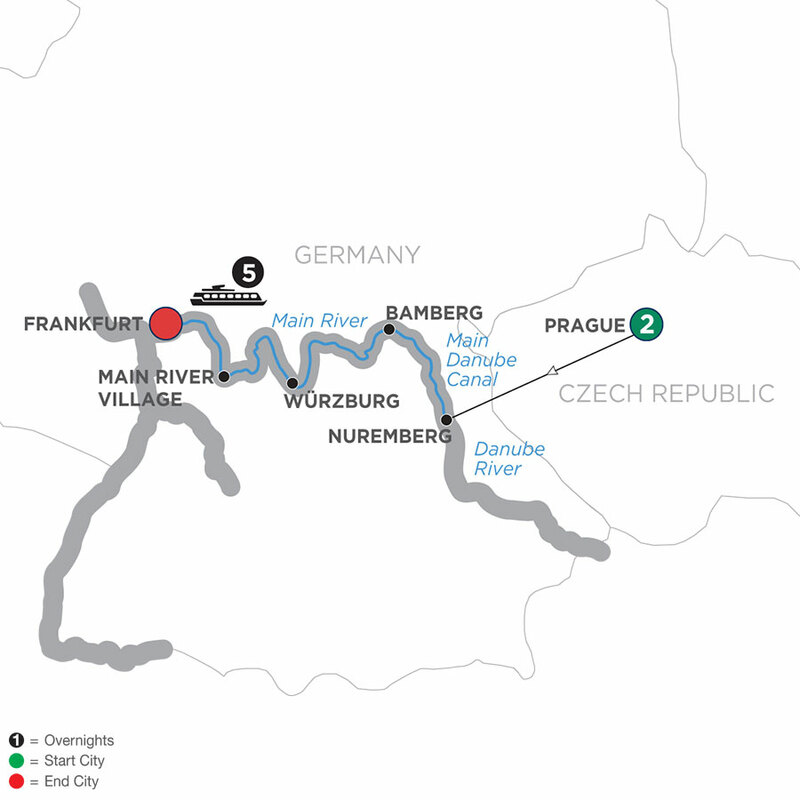 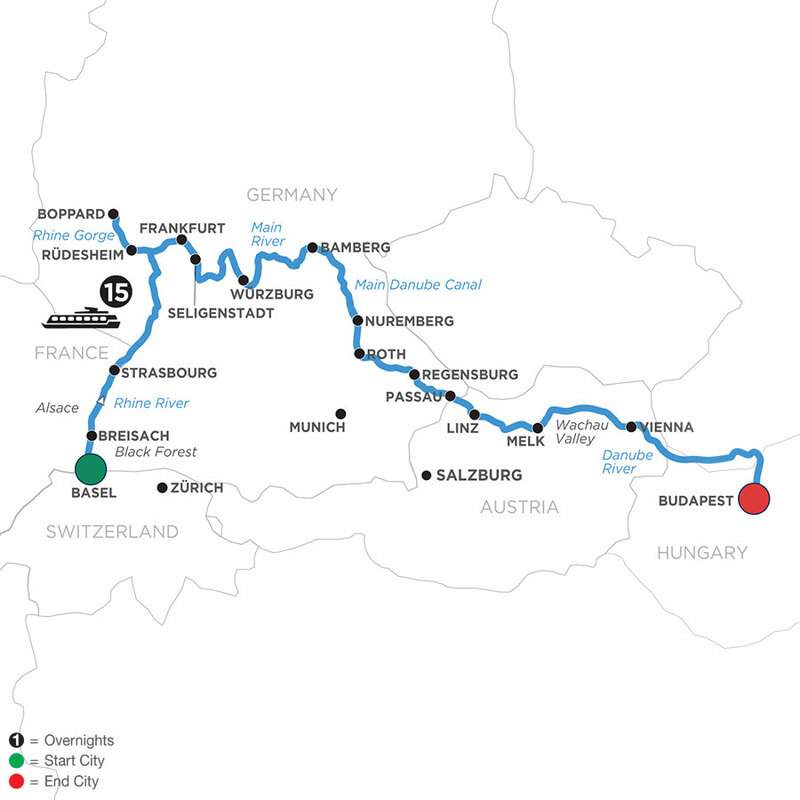 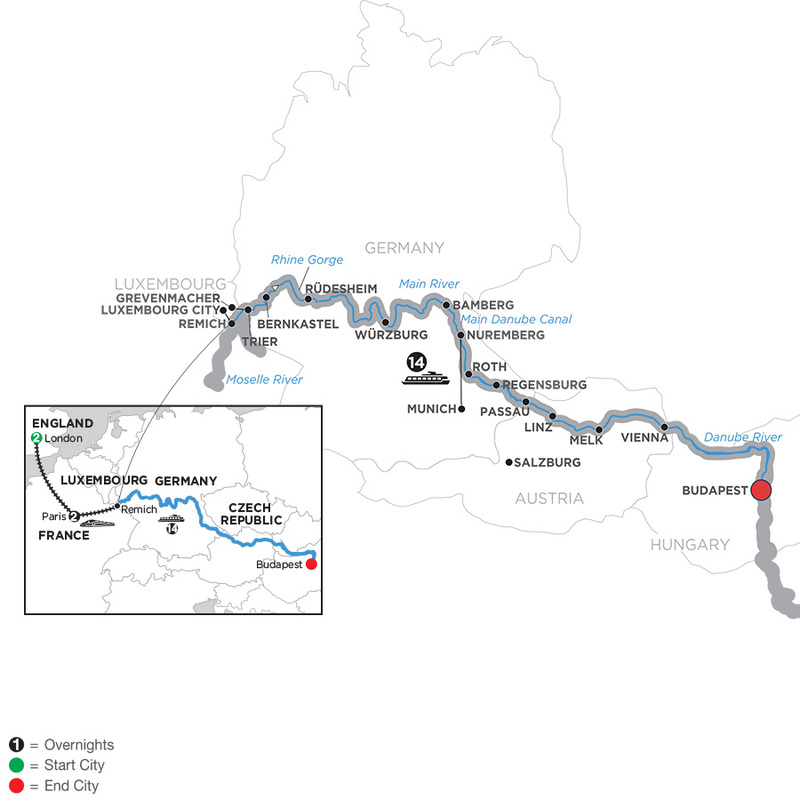 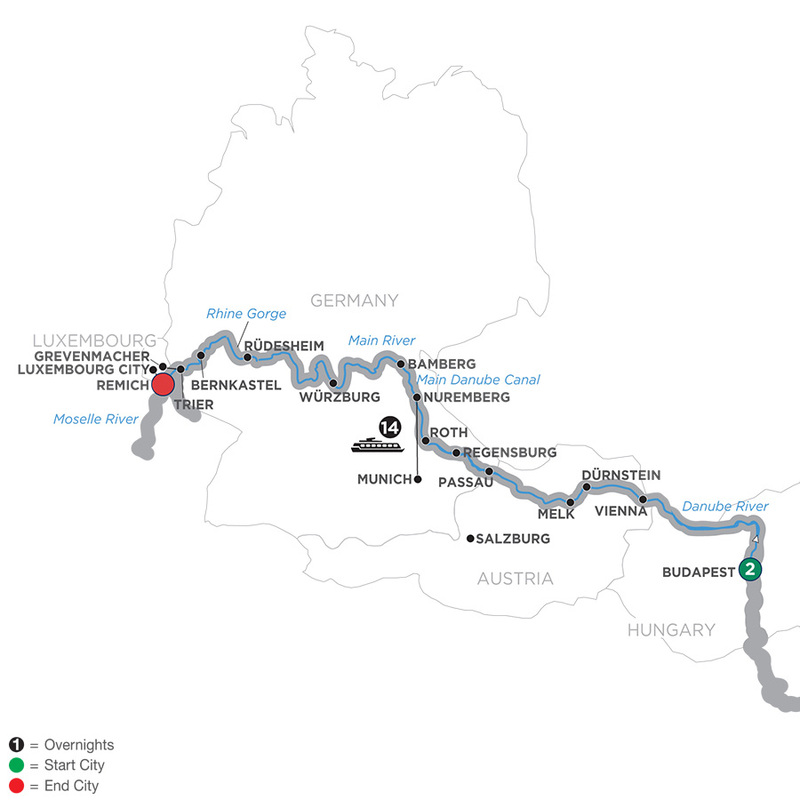 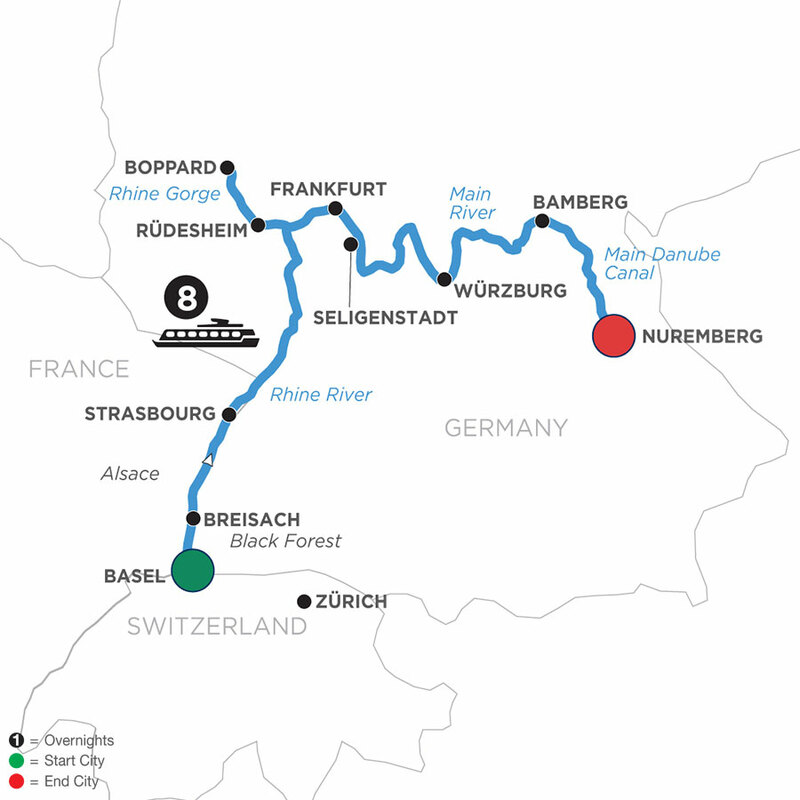 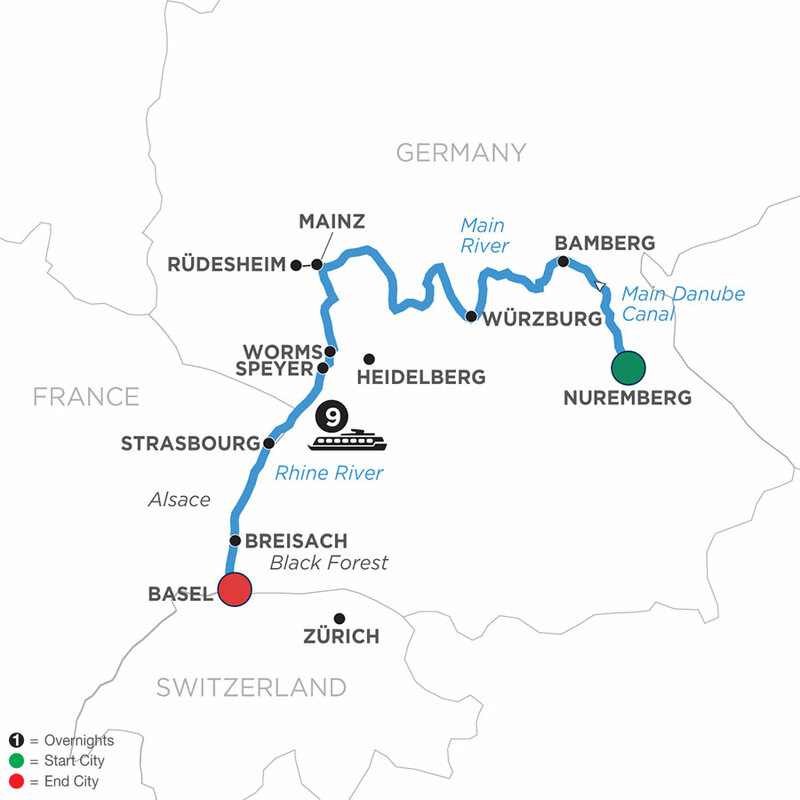 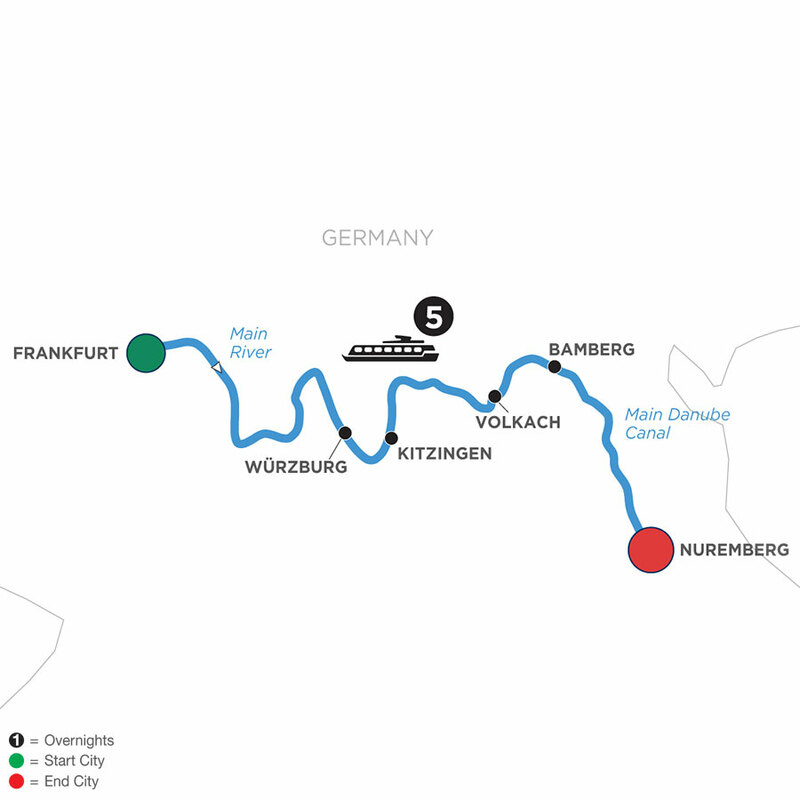 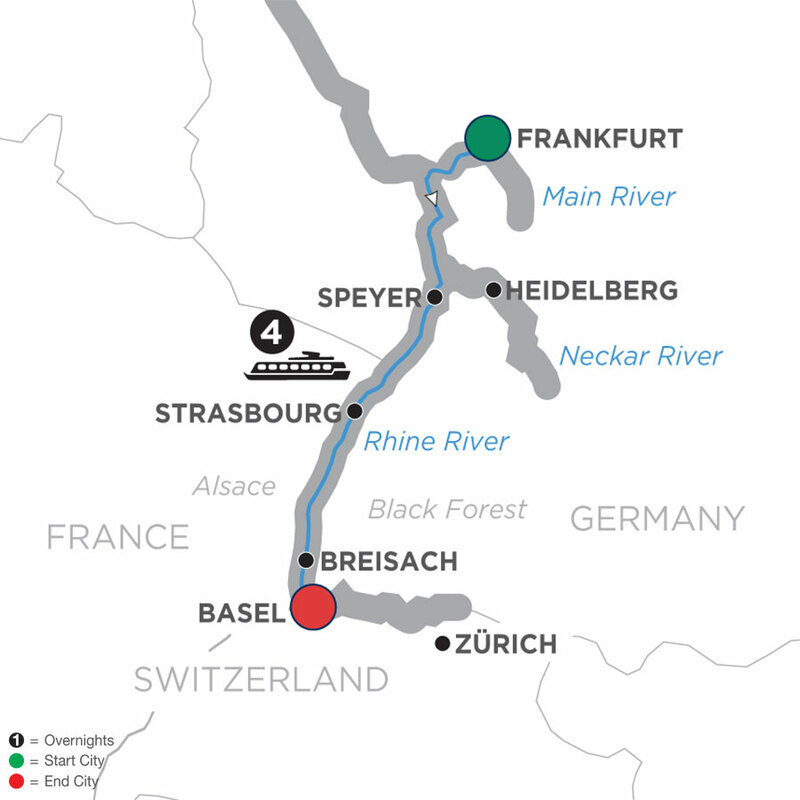 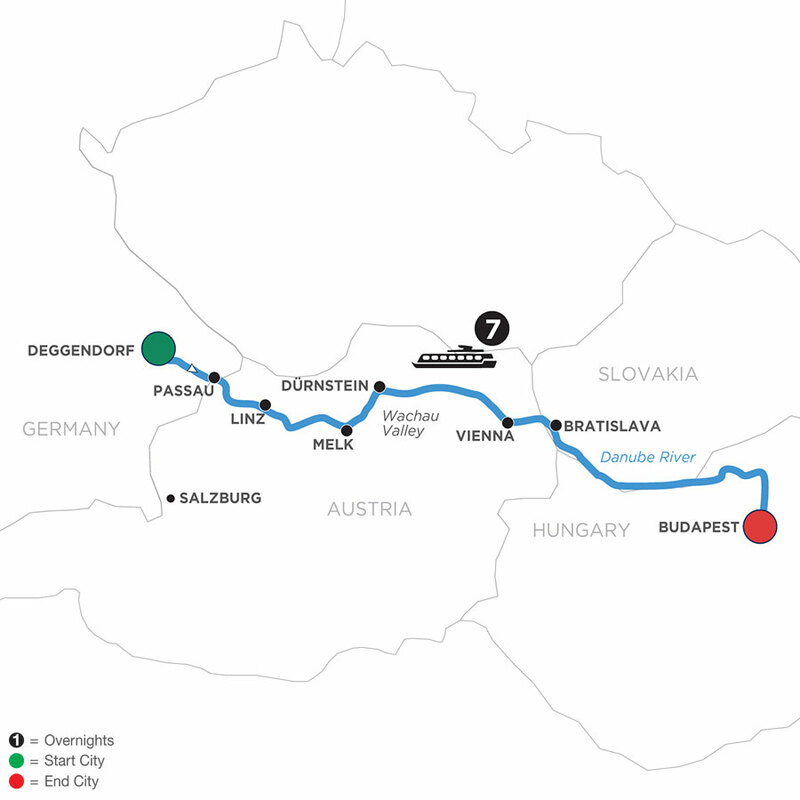 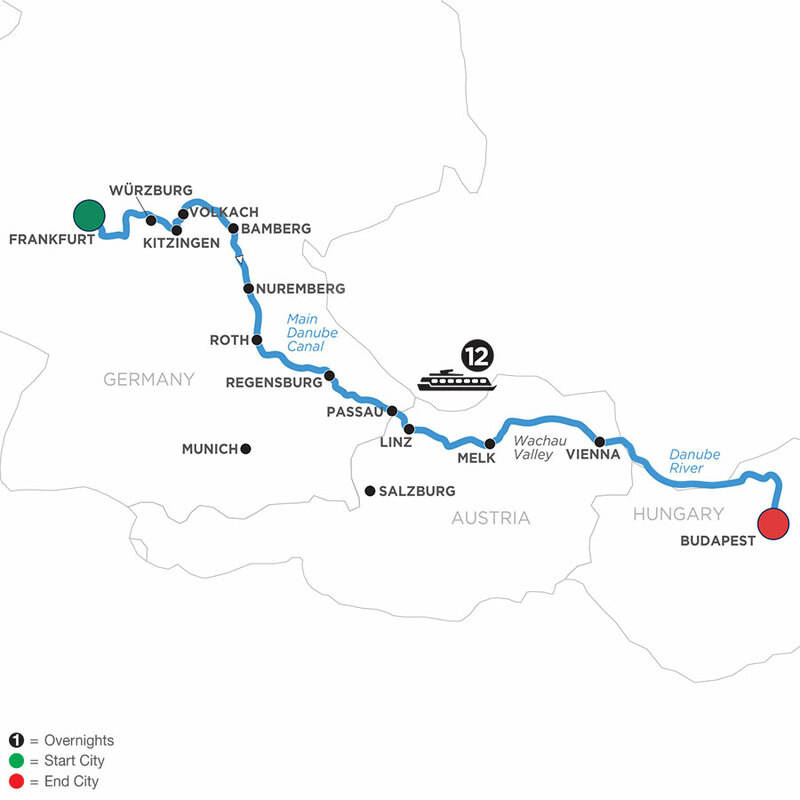 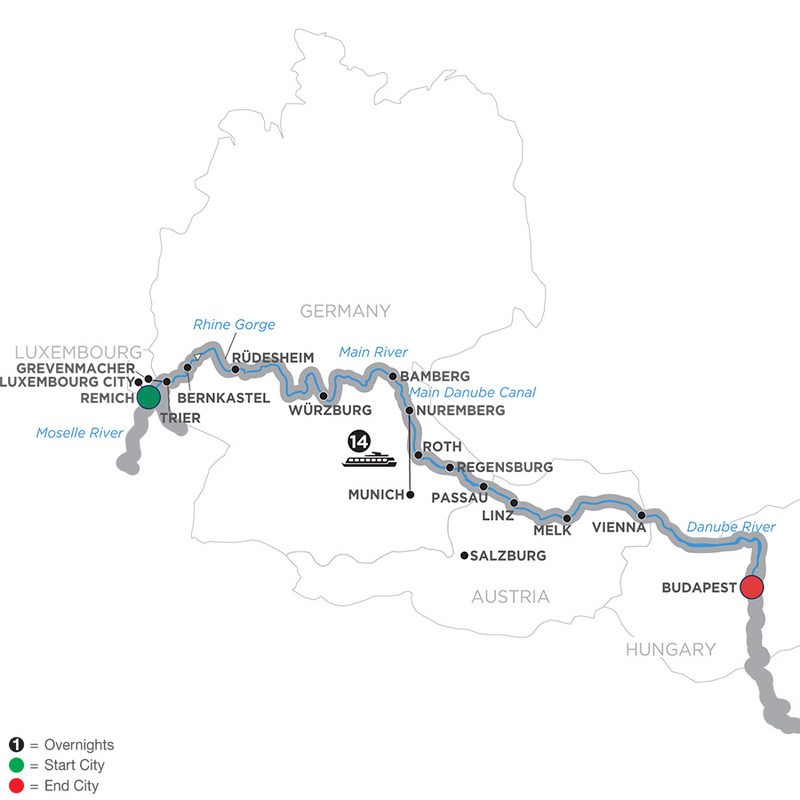 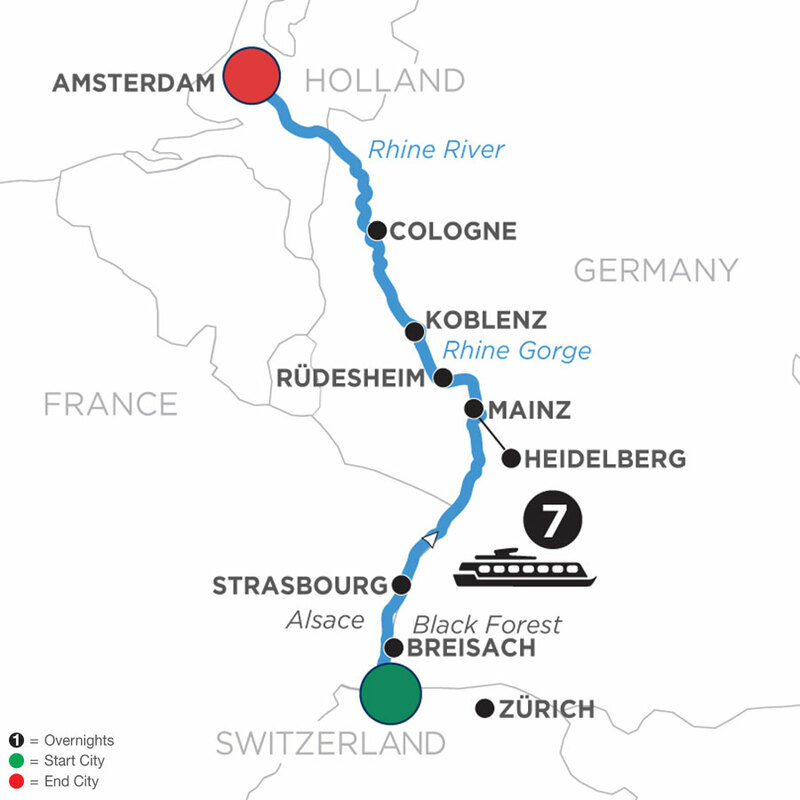 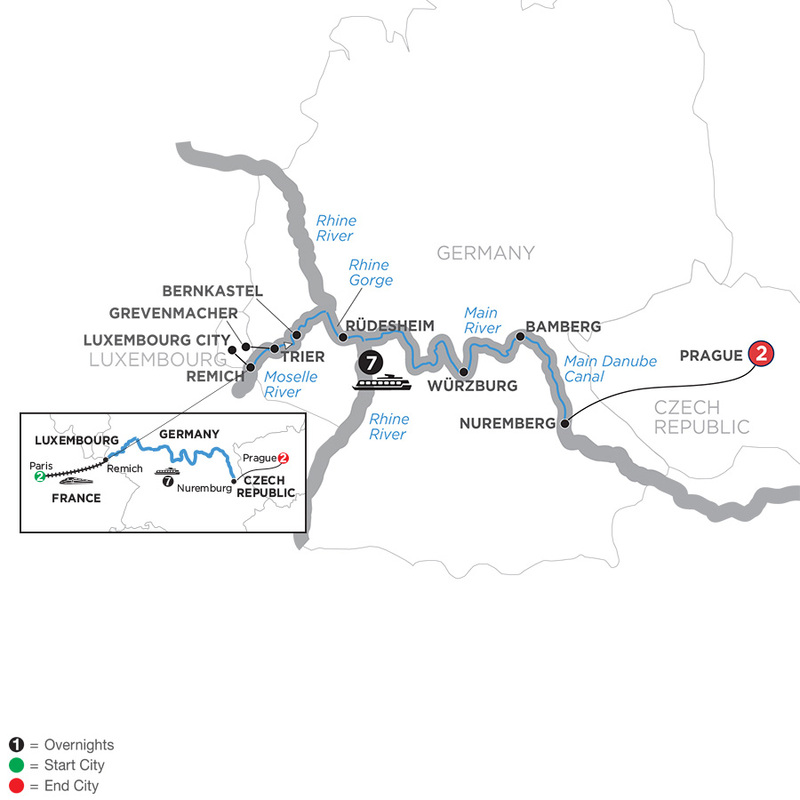 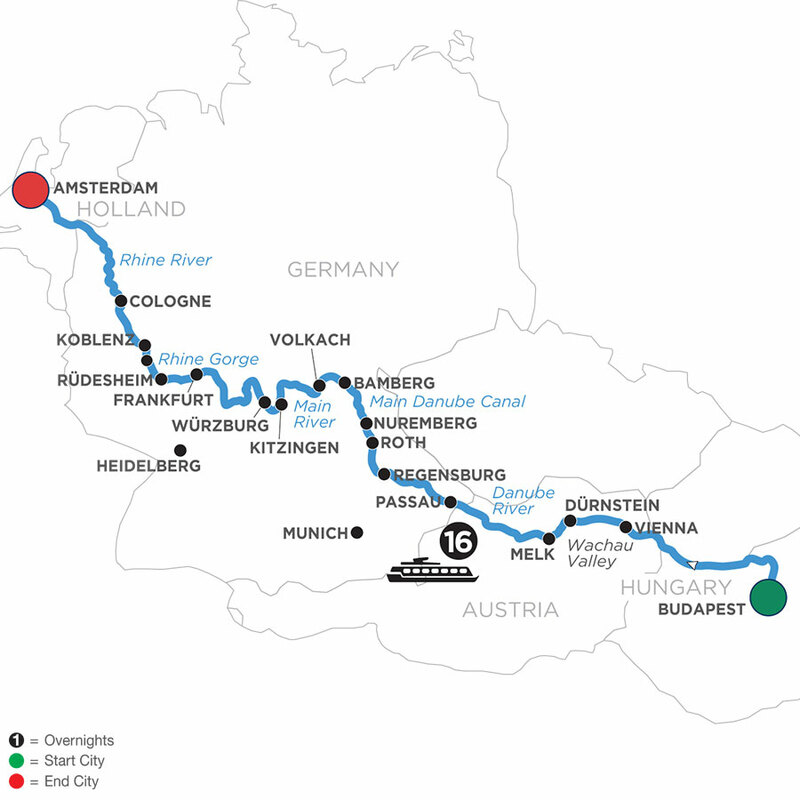 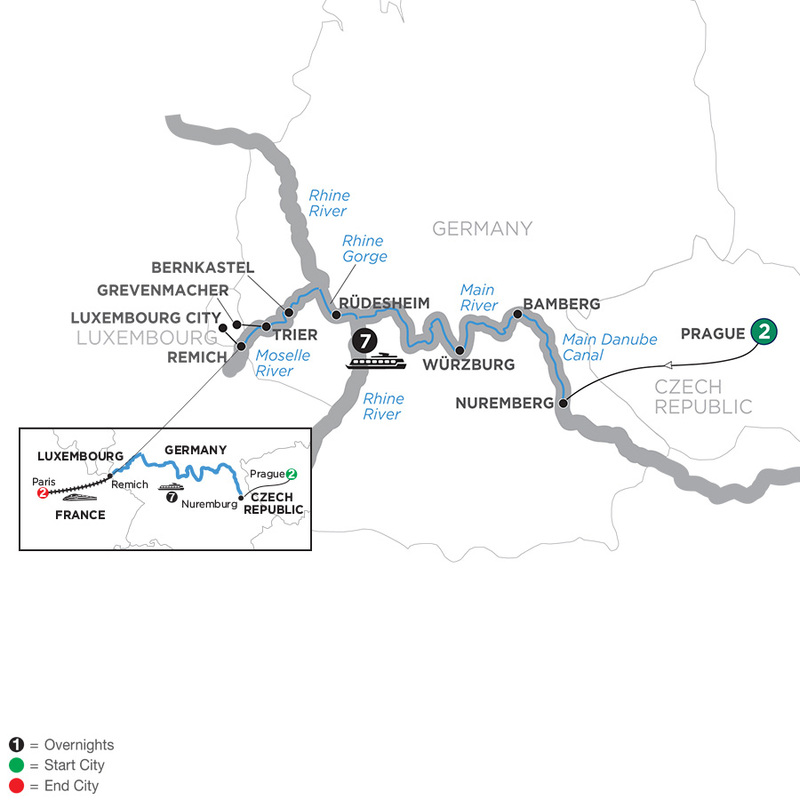 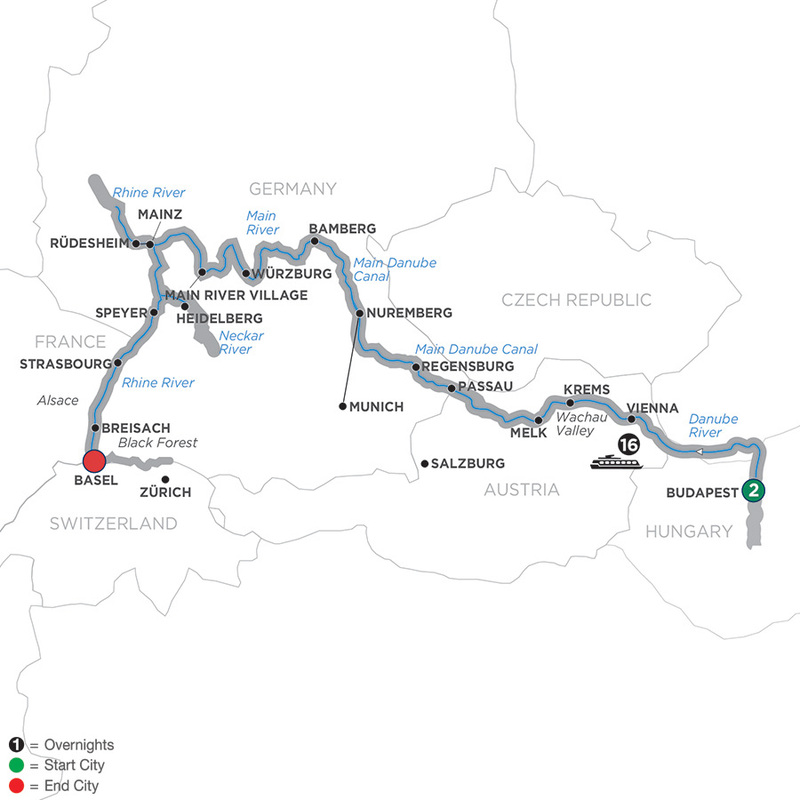 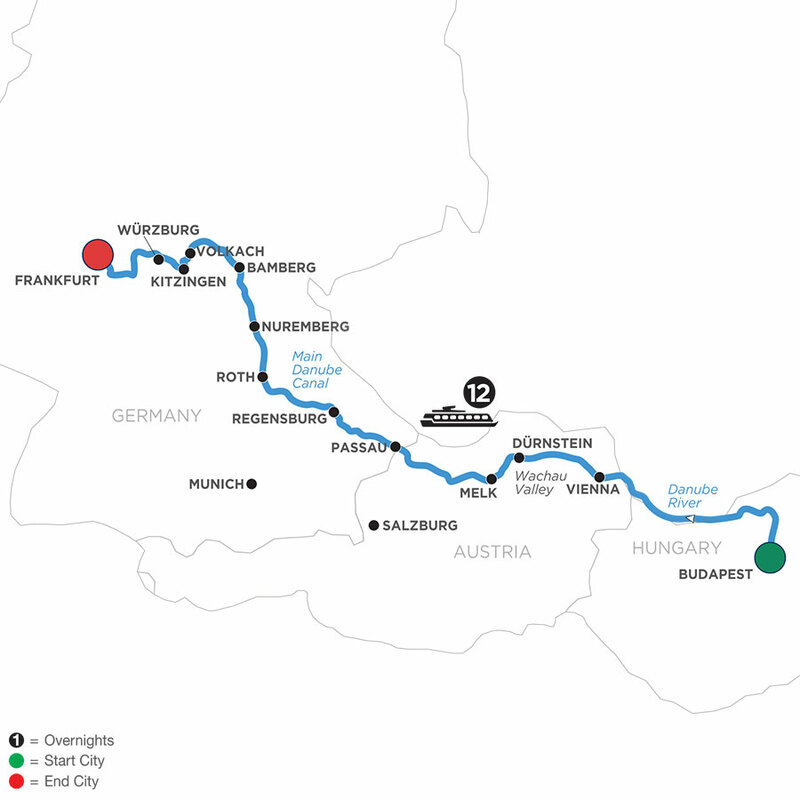 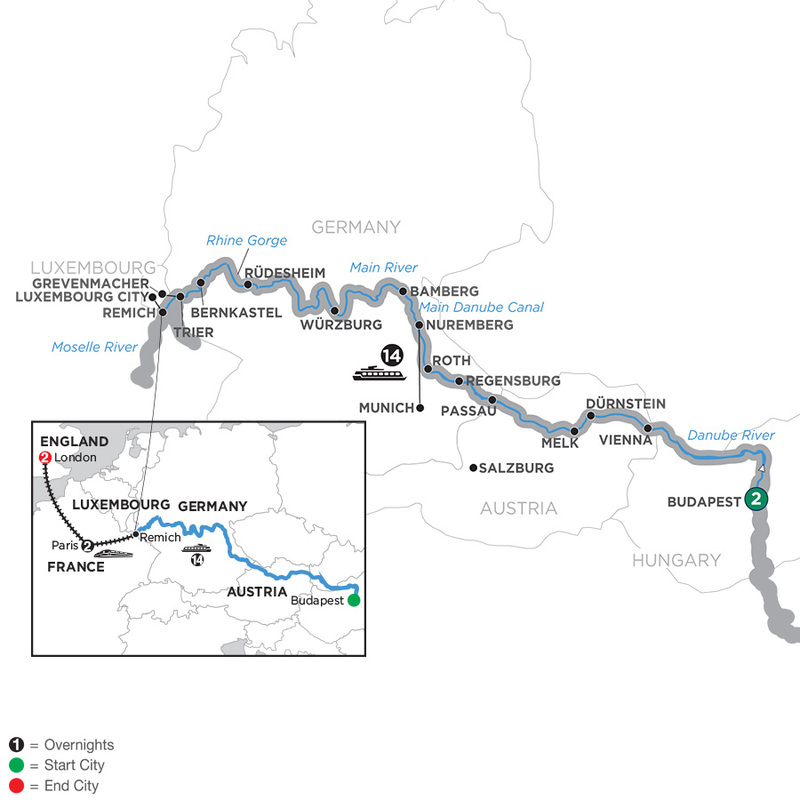 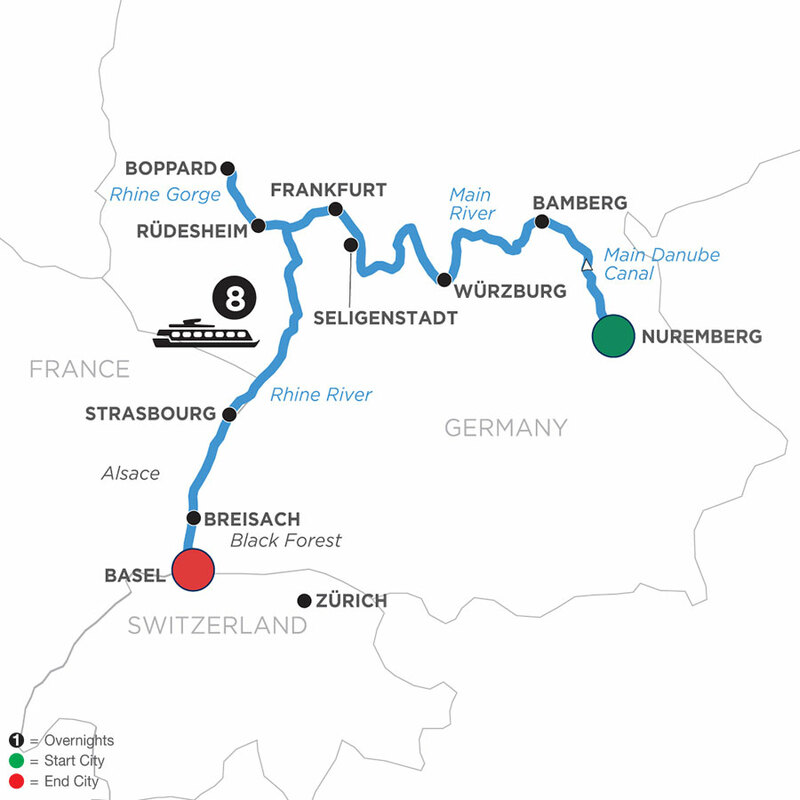 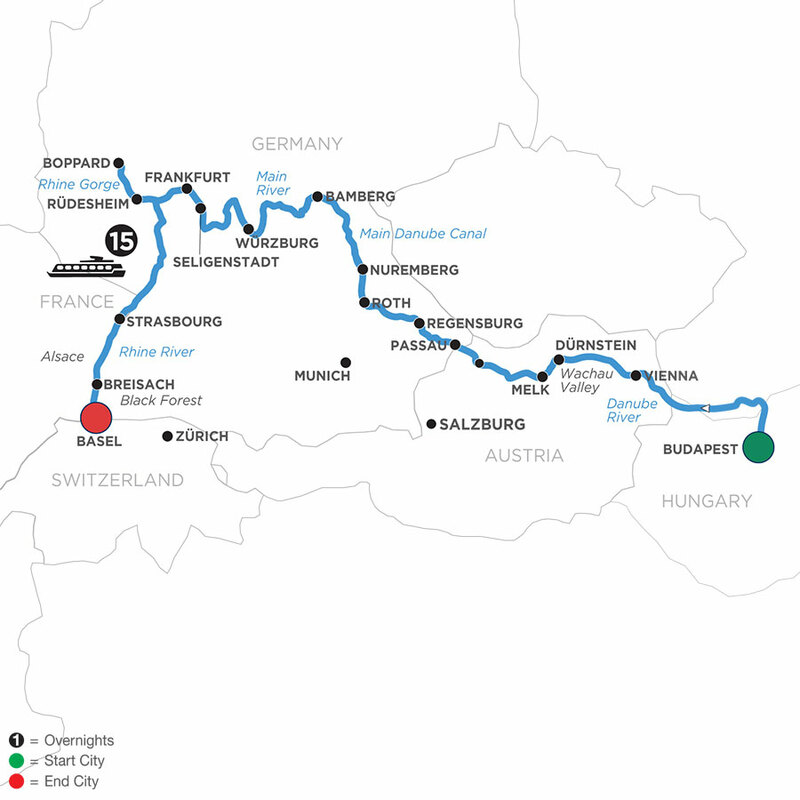 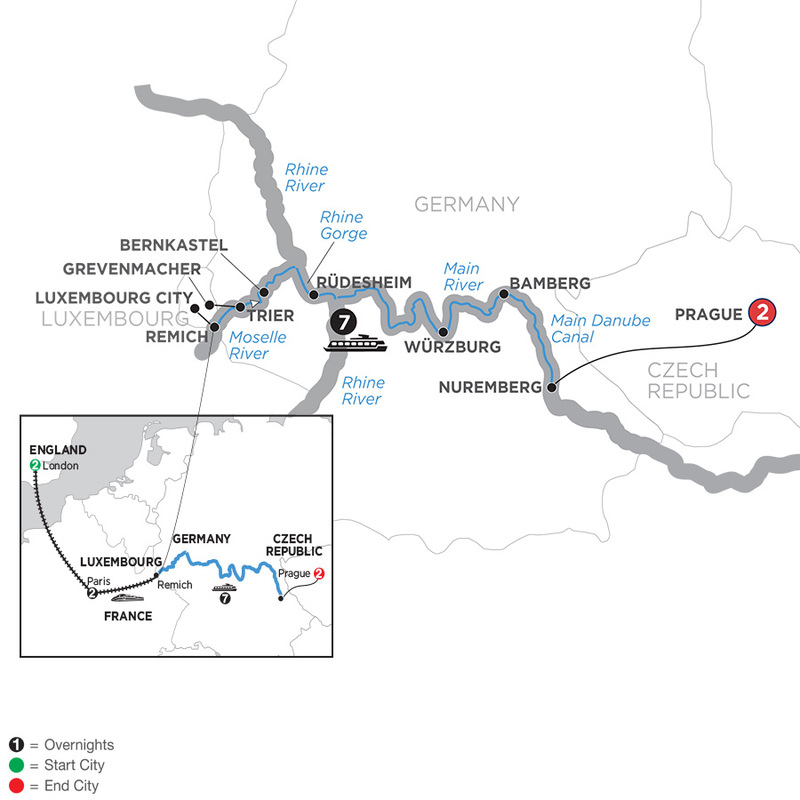 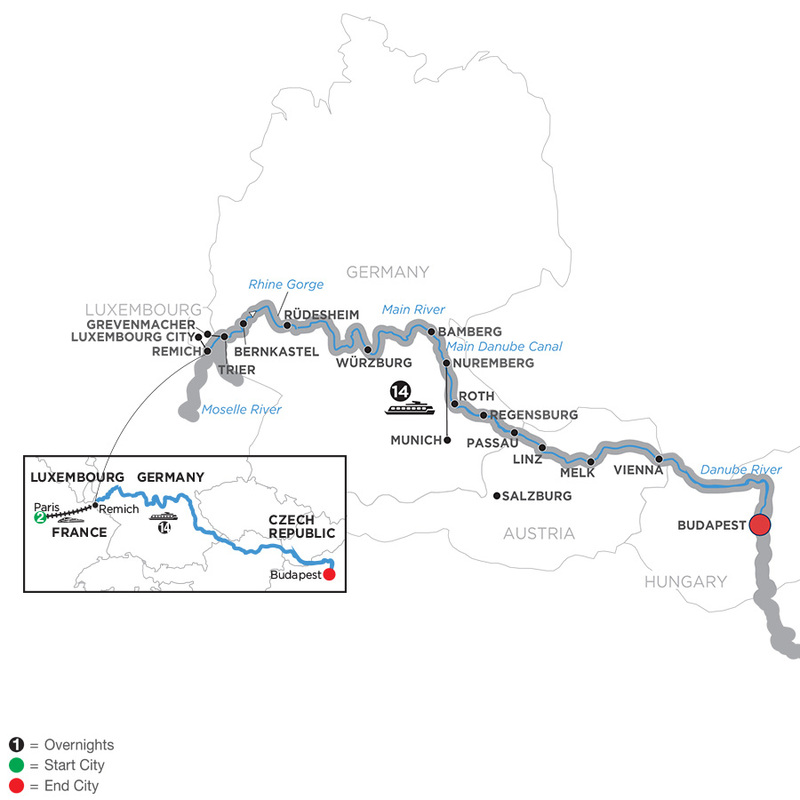 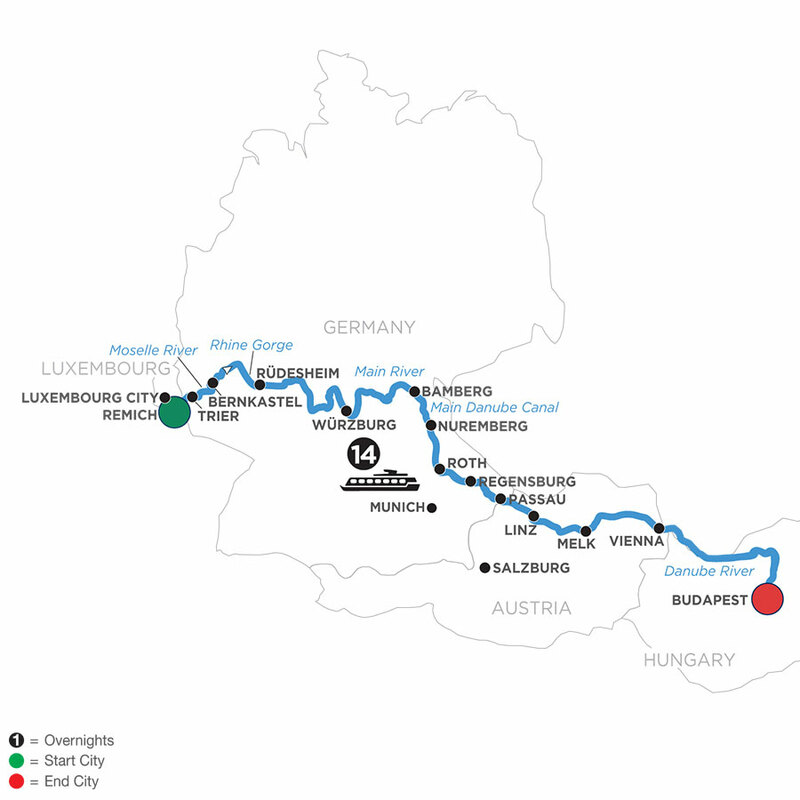 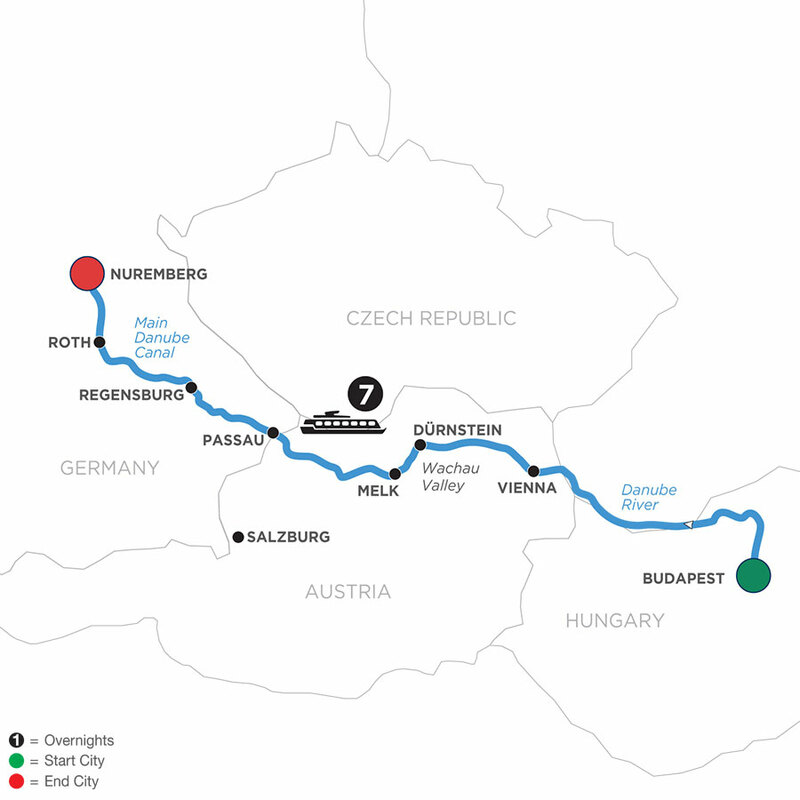 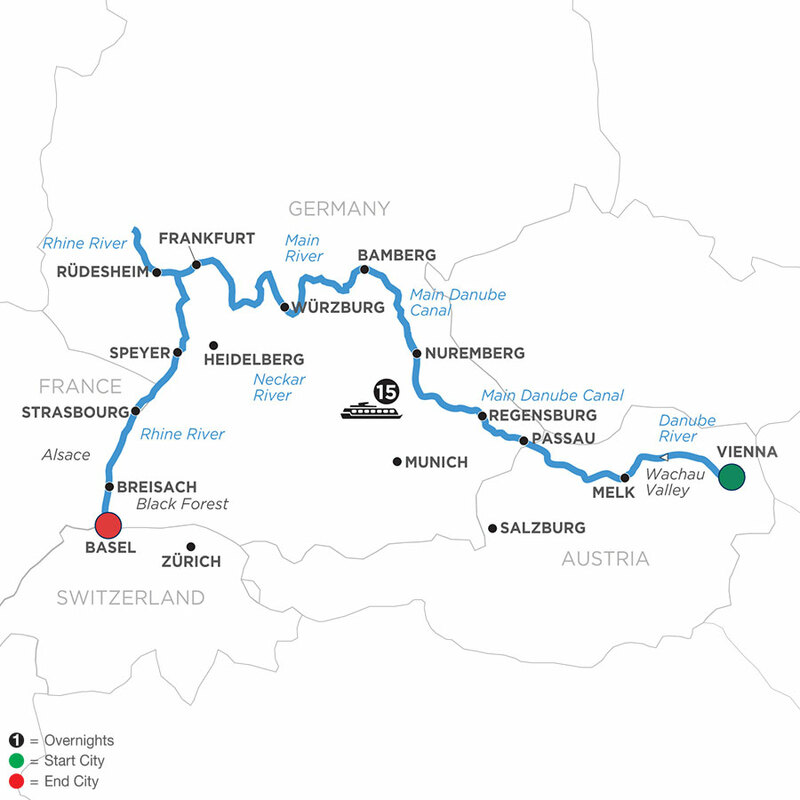 This Central European river cruise will take you from the gothic skyline of Prague to Remich on the Main, Rhine, and Moselle Rivers. 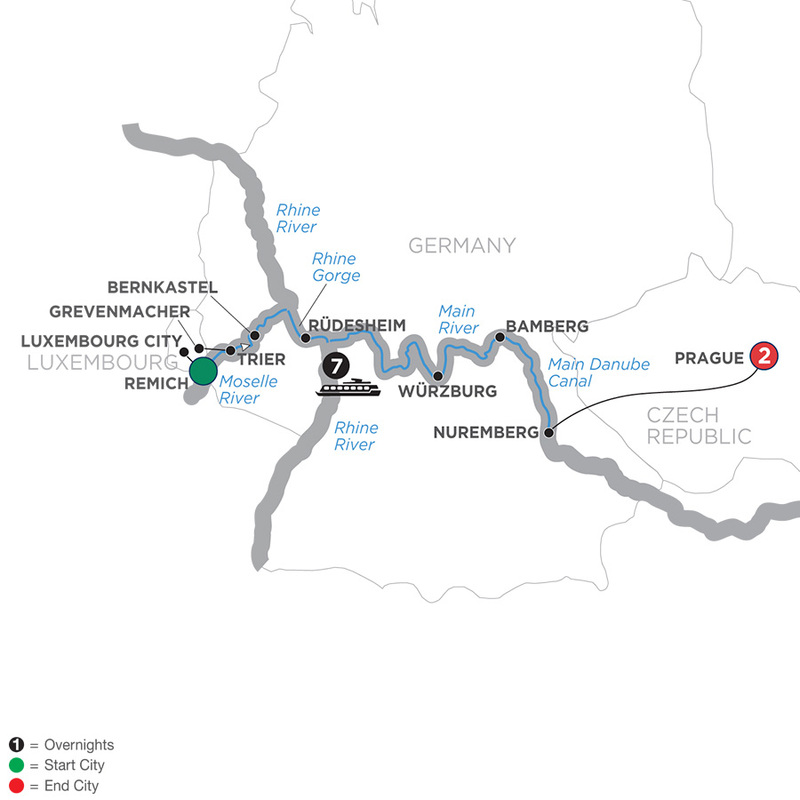 It begins with two overnights in Prague, one of Europe’s most magical cities. 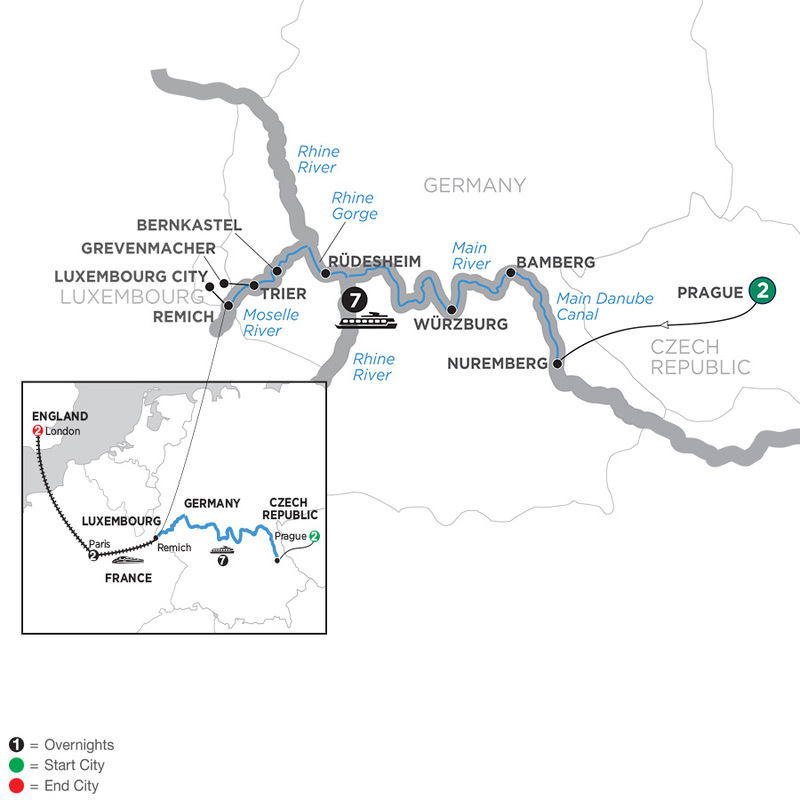 You’ll see Prague’s best-known treasures like St. Vitus Cathedral, a gothic masterpiece that dominates the skyline. 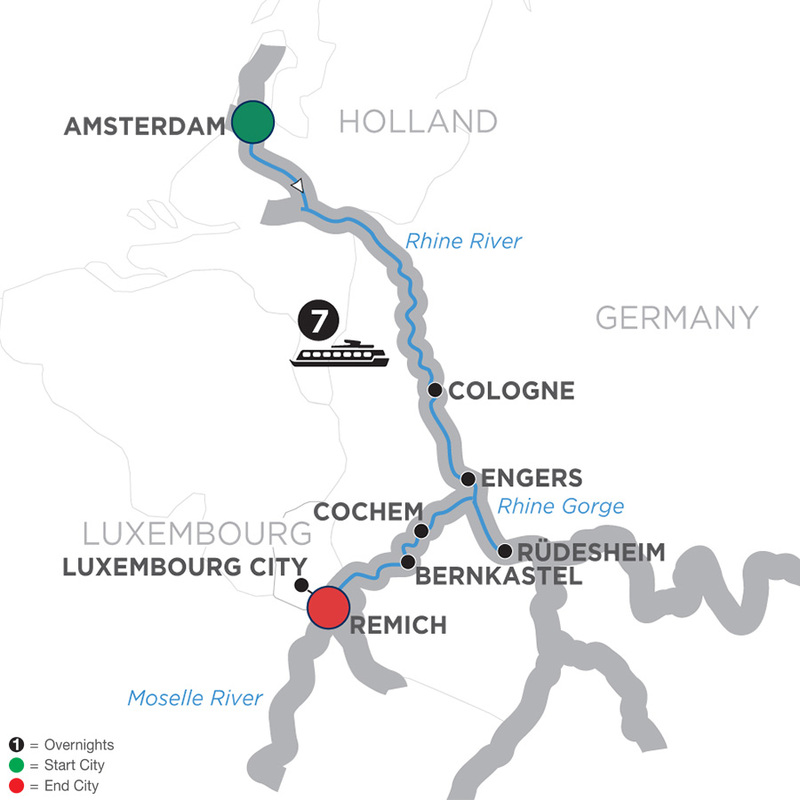 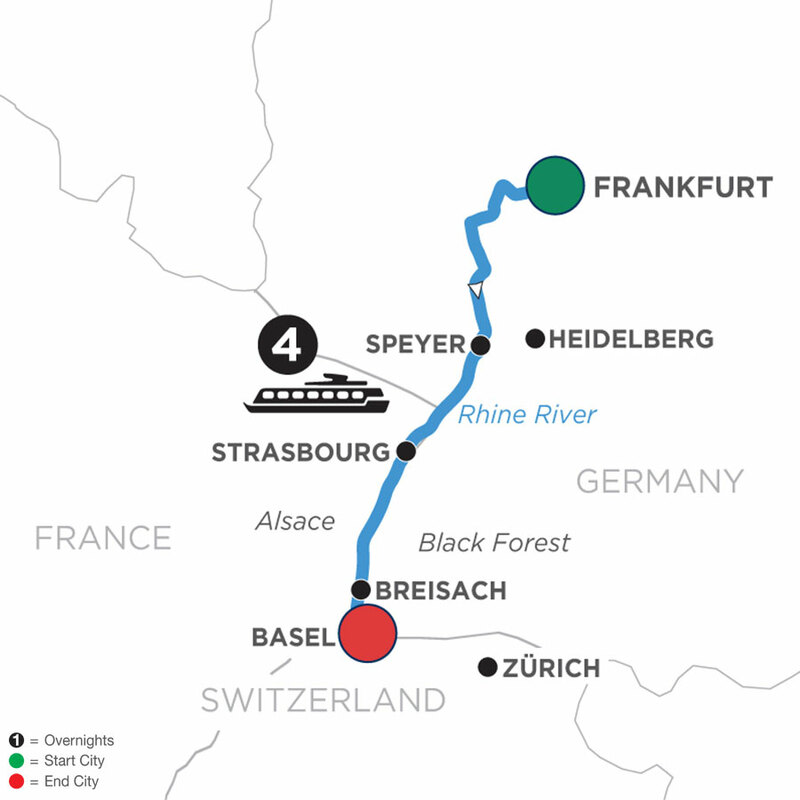 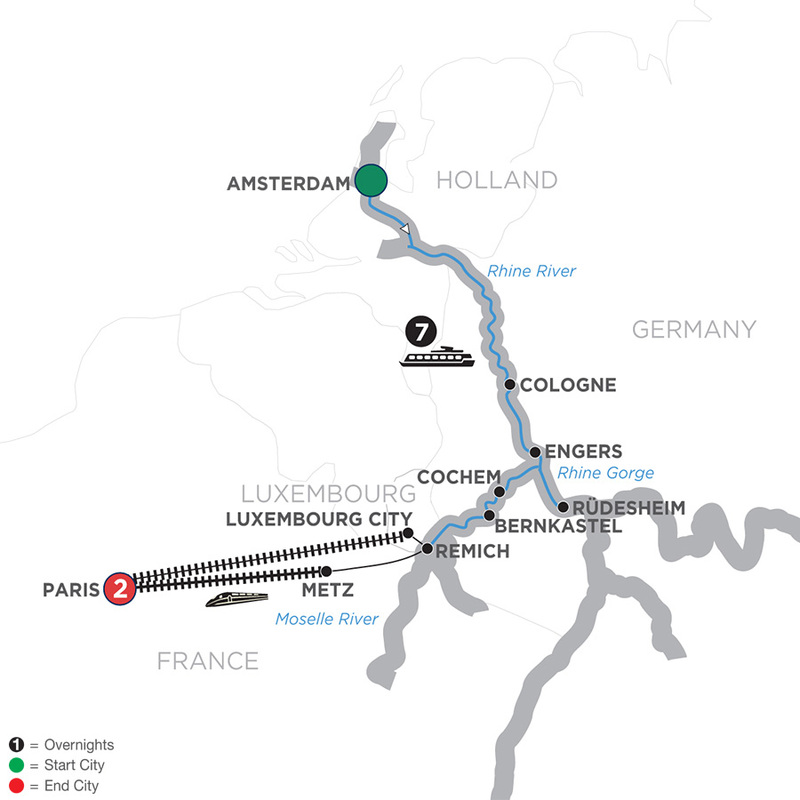 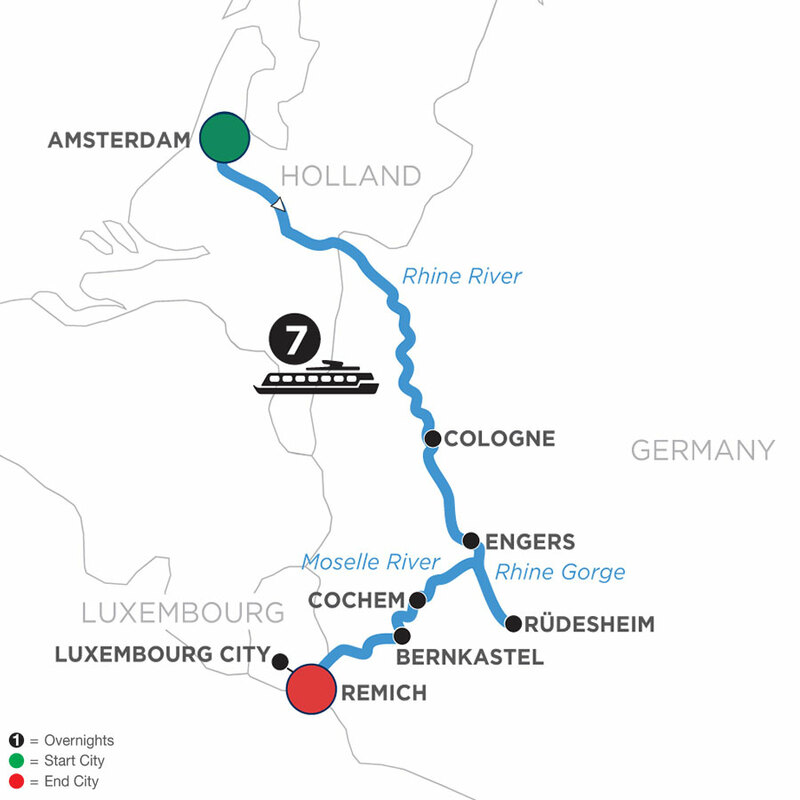 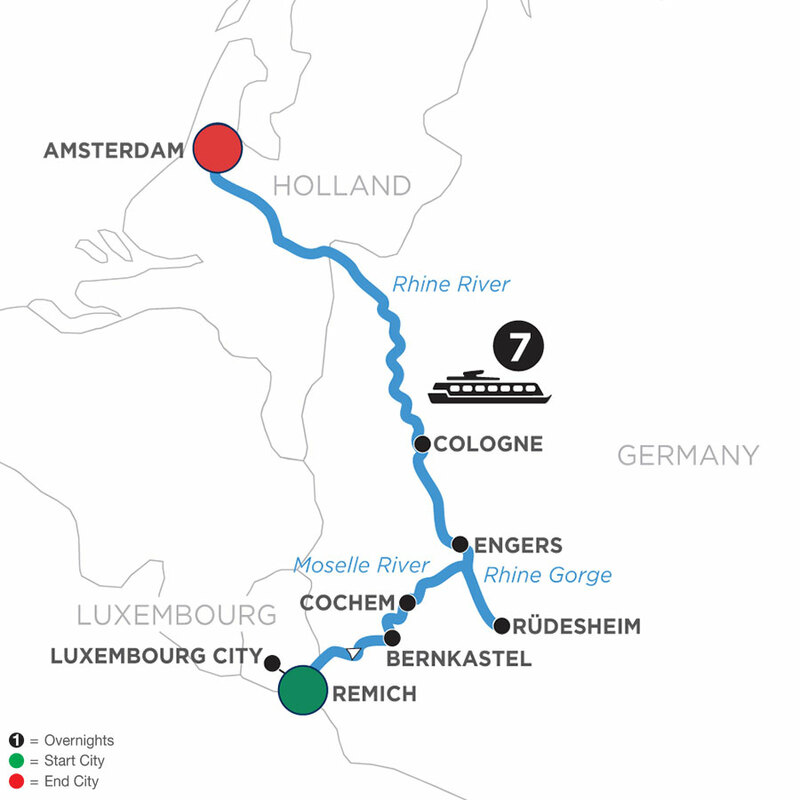 Savor the experience of Central Europe’s gems along the Rhine, Moselle, and Main Rivers, and continue your adventure with a wonderful visit to Paris. 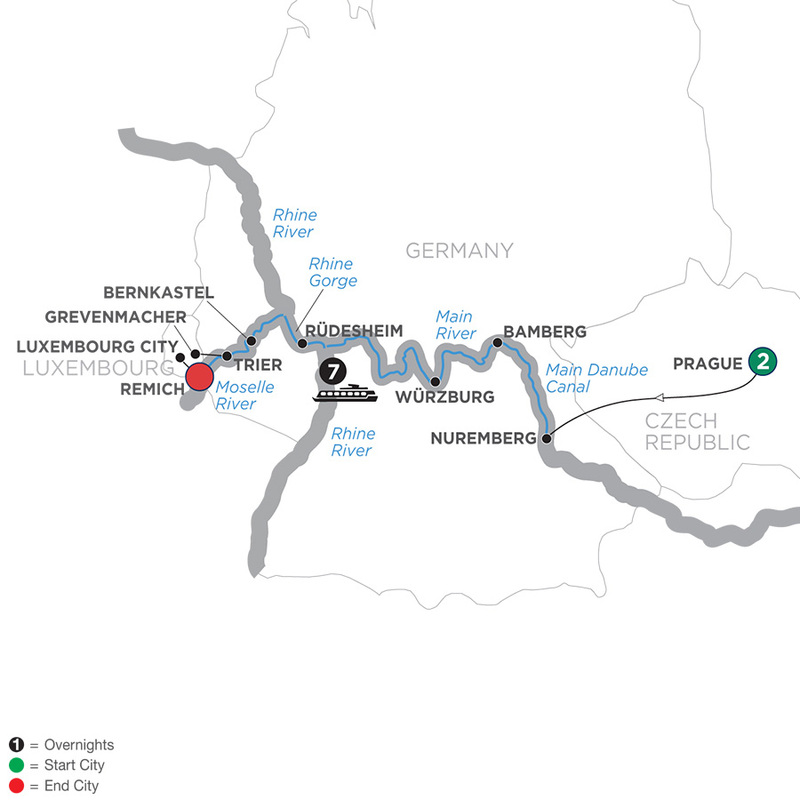 Begin your European river cruise and Old Town’s Astronomical Clock with guided sightseeing in the spectacular capital of Czech Republic—the city of 100 spires. 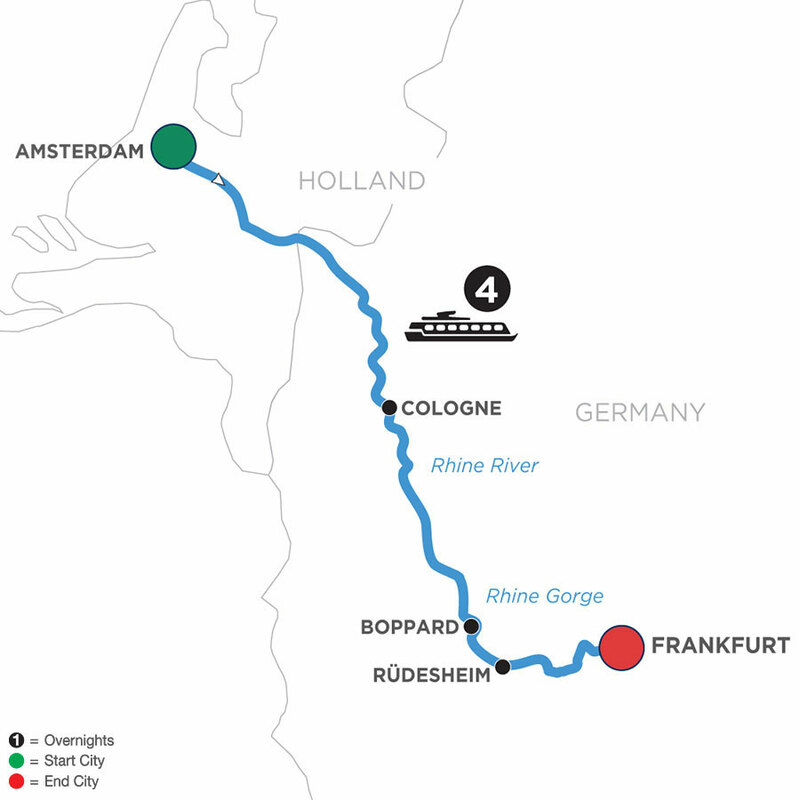 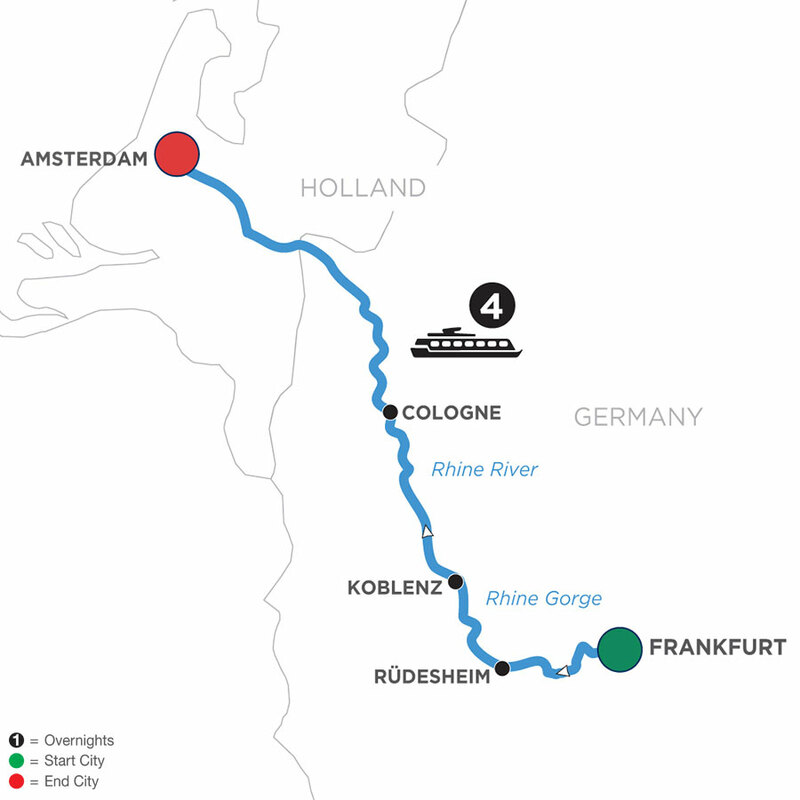 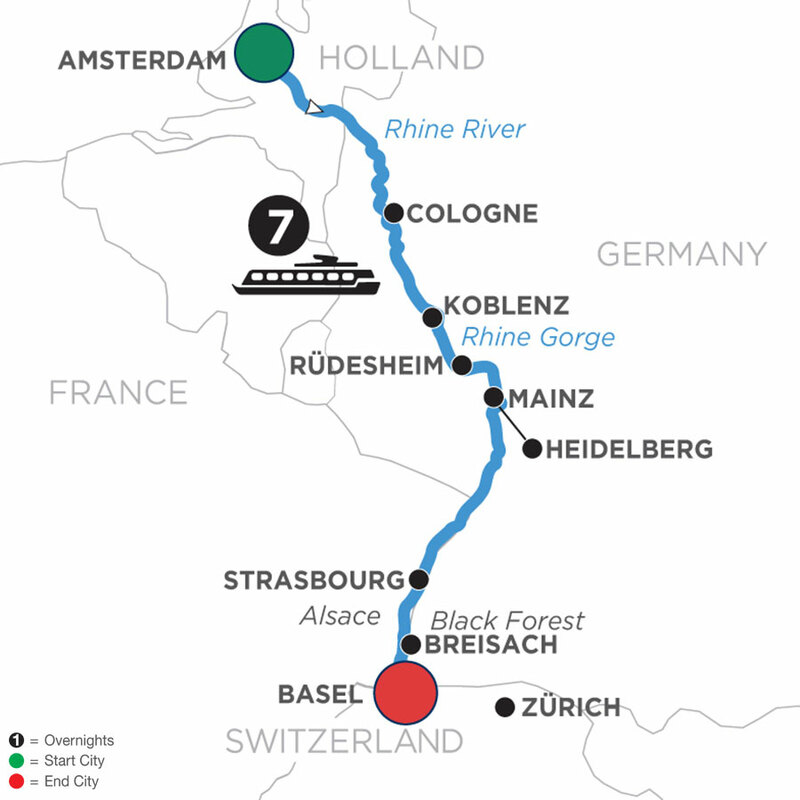 Savor the experience of Central Europe’s gems along the Rhine, Moselle, and Main Rivers, and begin your adventure with a visit for 2 nights each in exciting London and romantic Paris.